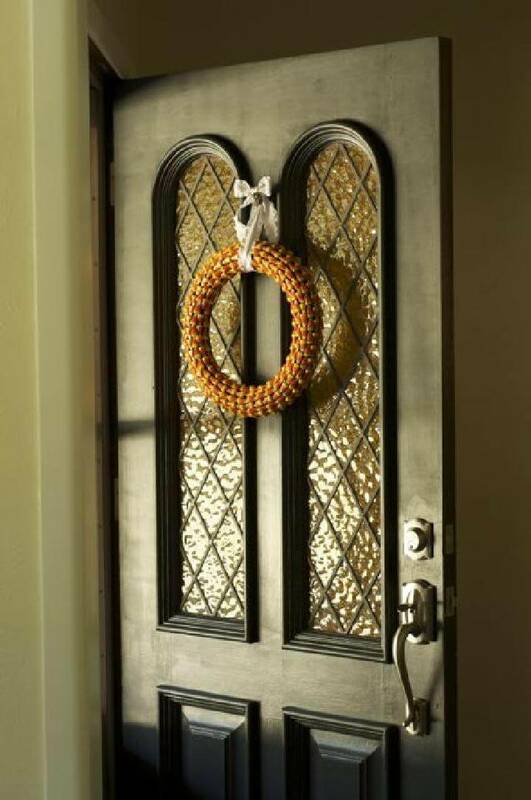 Soon the summers would depart and fall would be knocking at the doors bringing the fresh air, holiday joys, and a lovely weather. 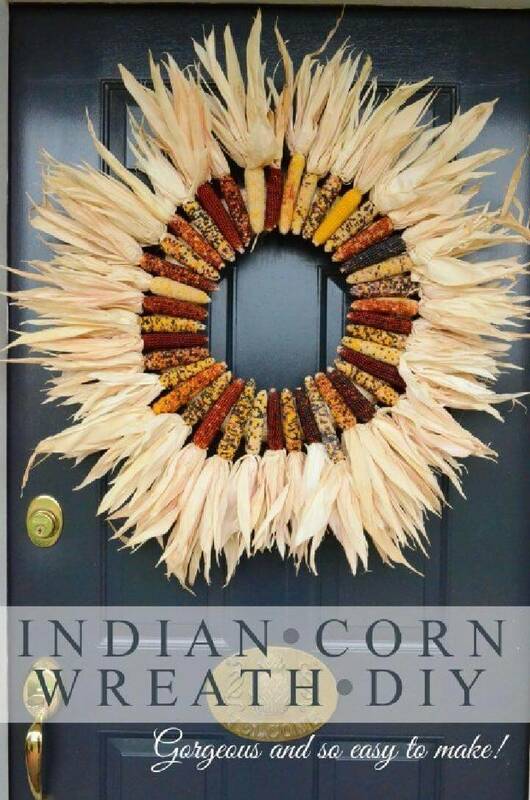 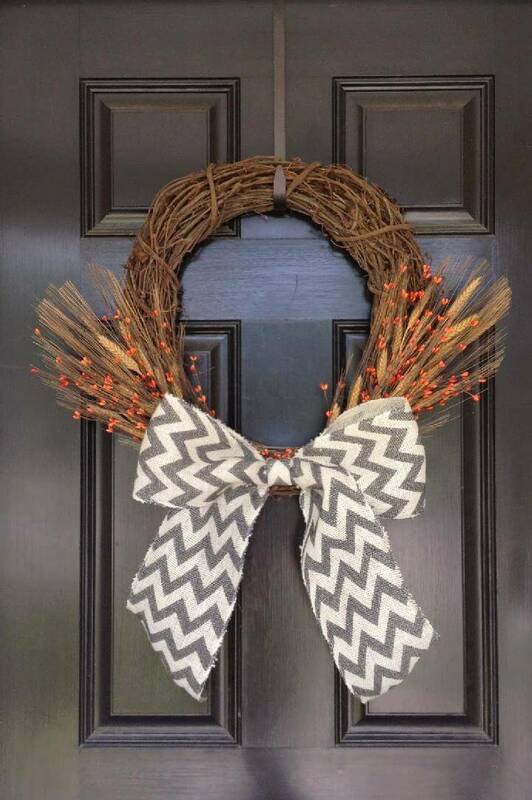 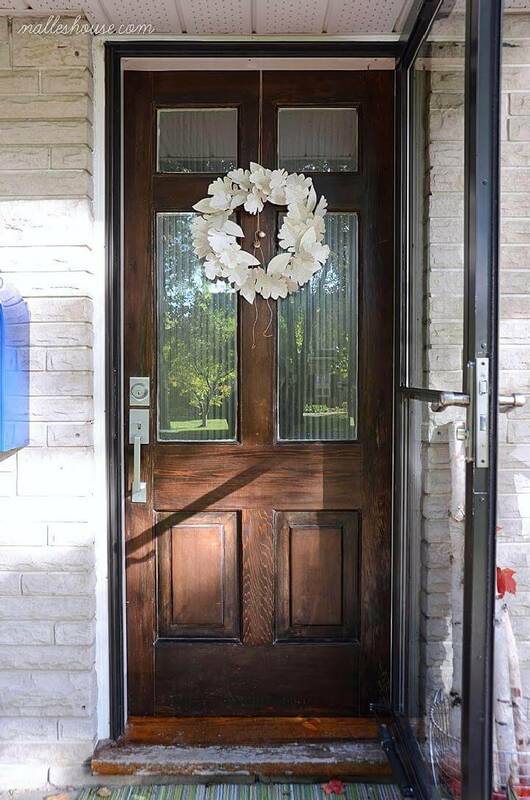 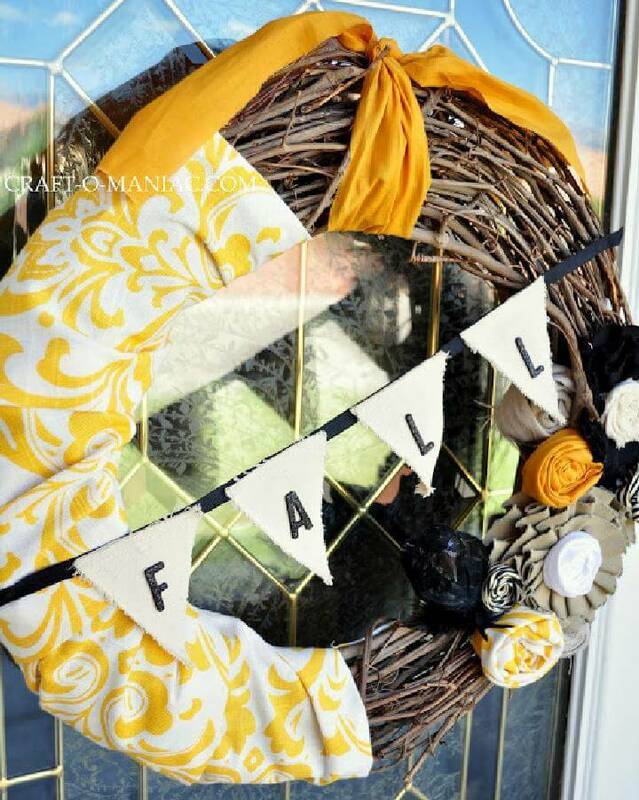 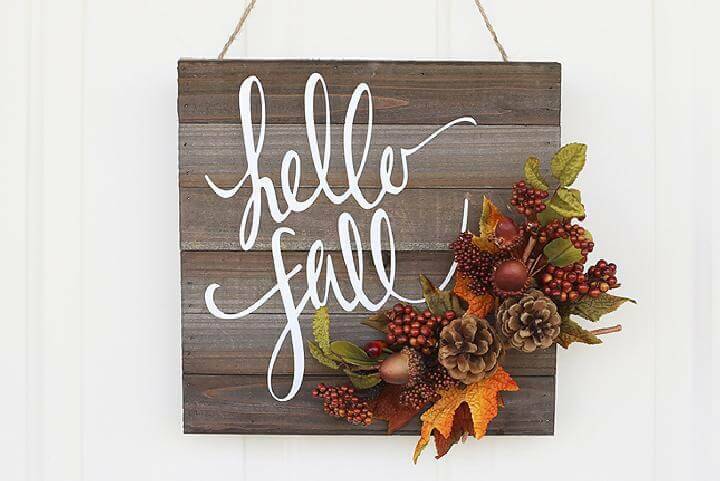 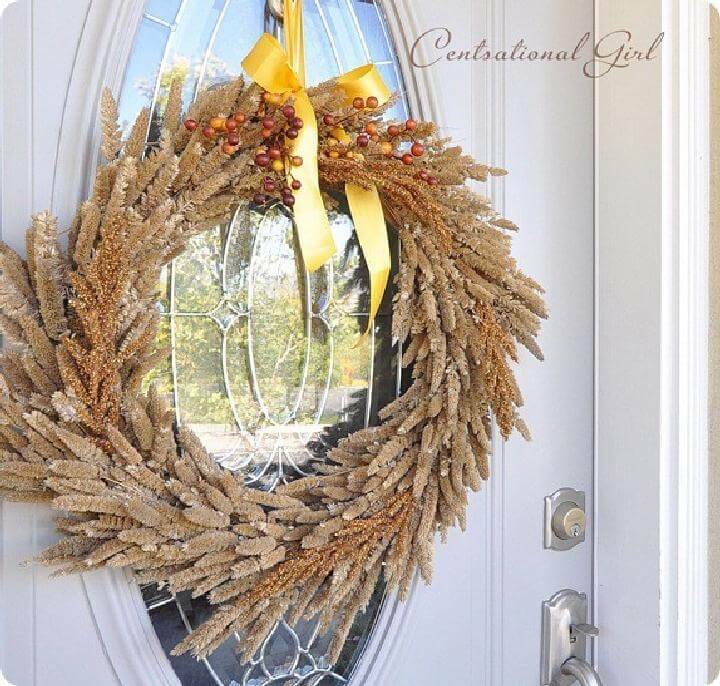 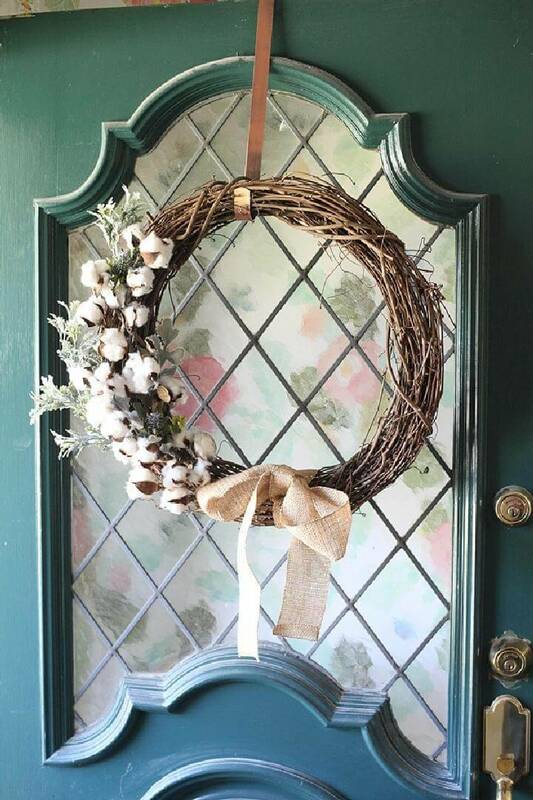 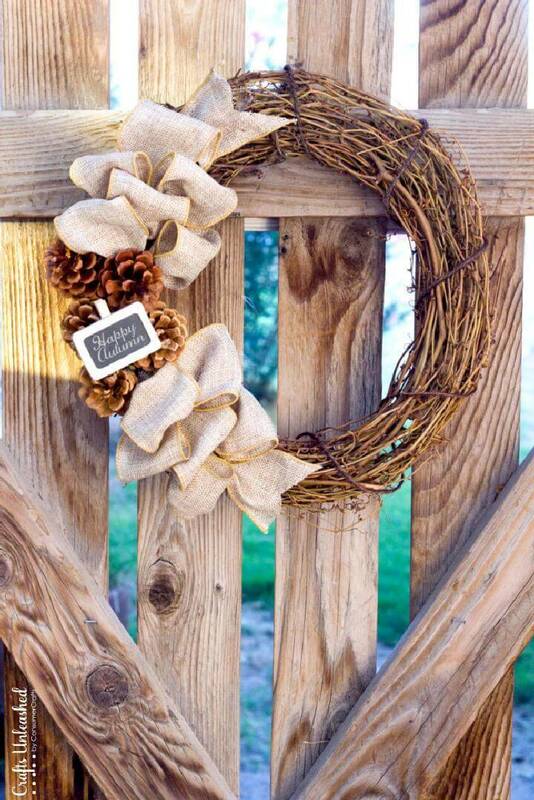 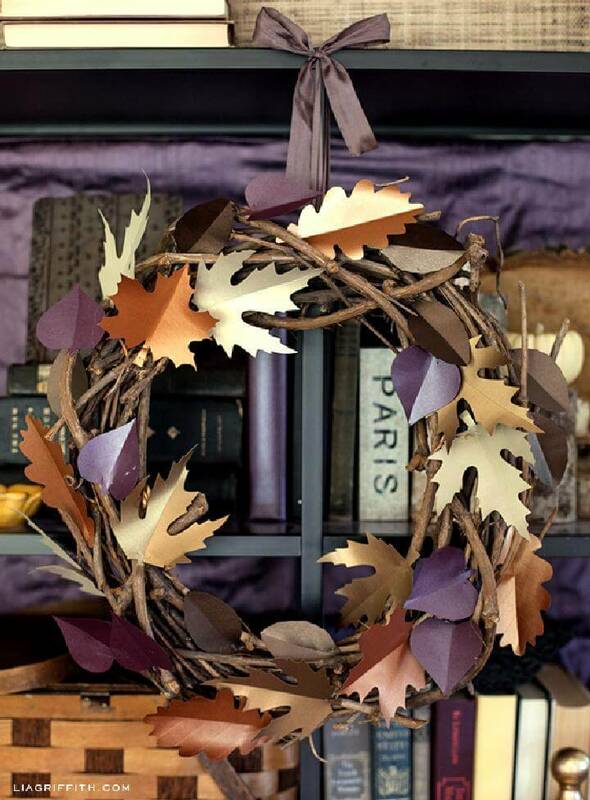 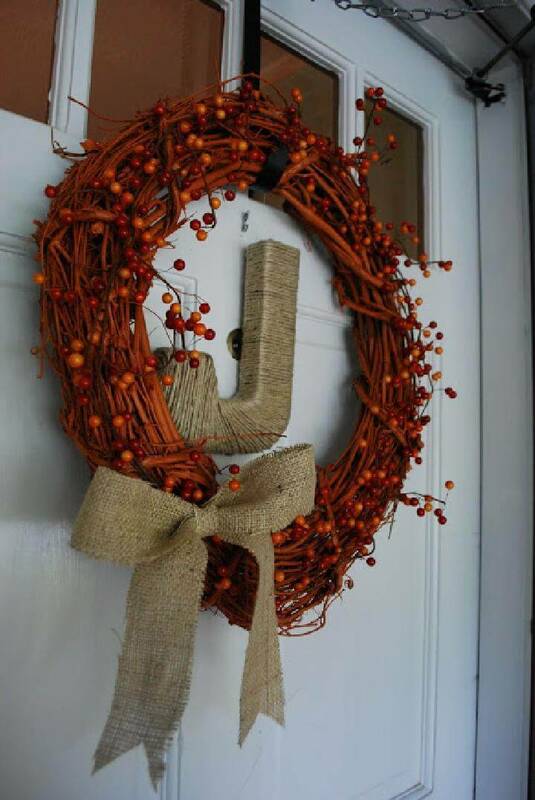 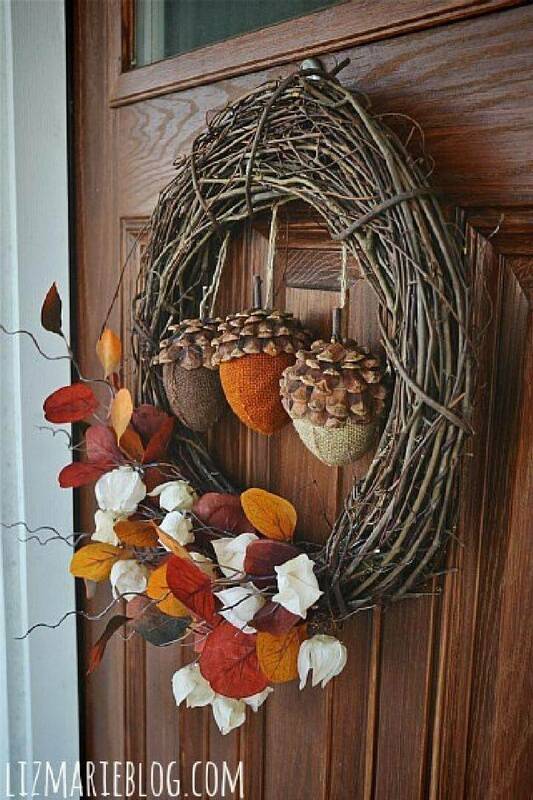 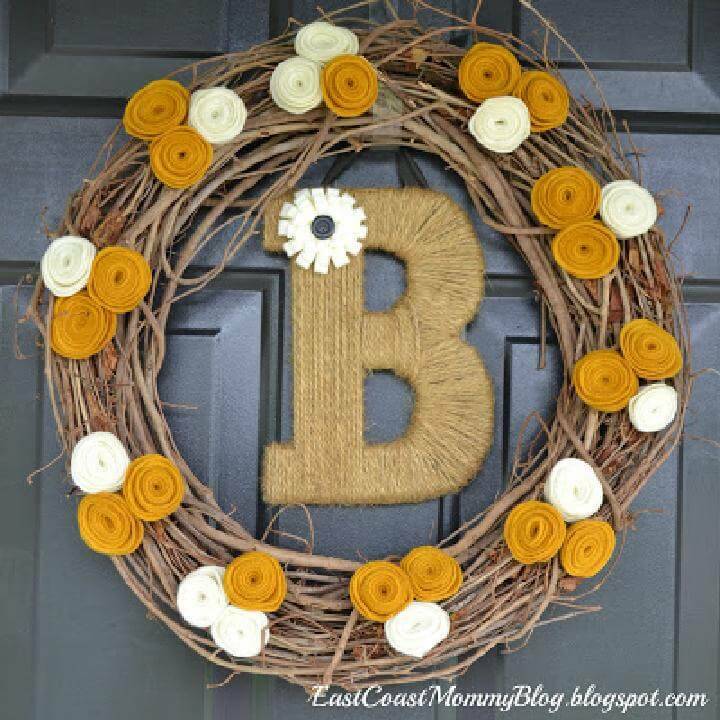 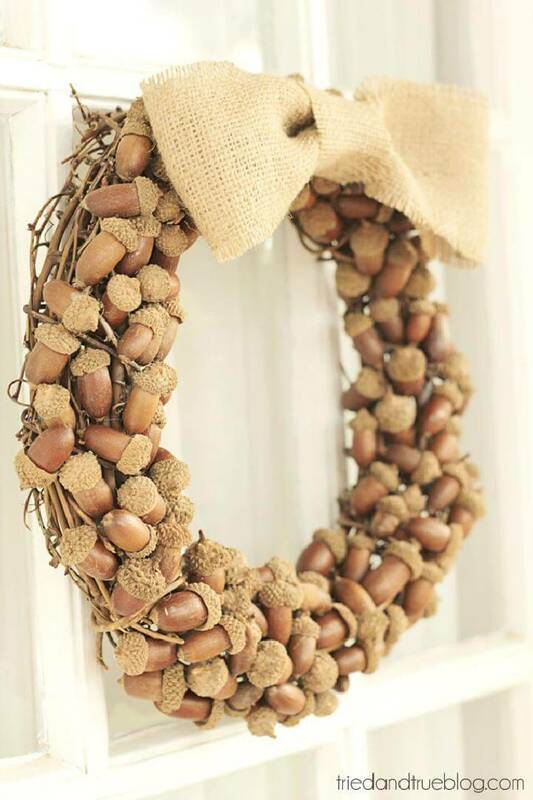 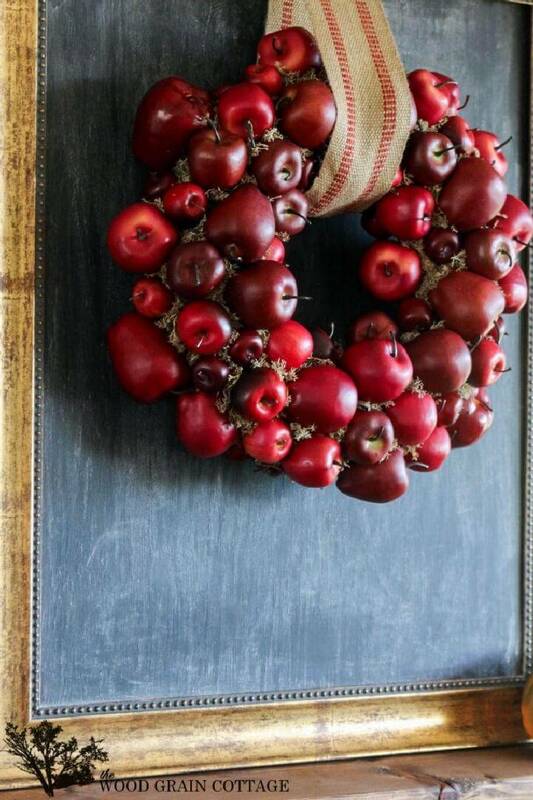 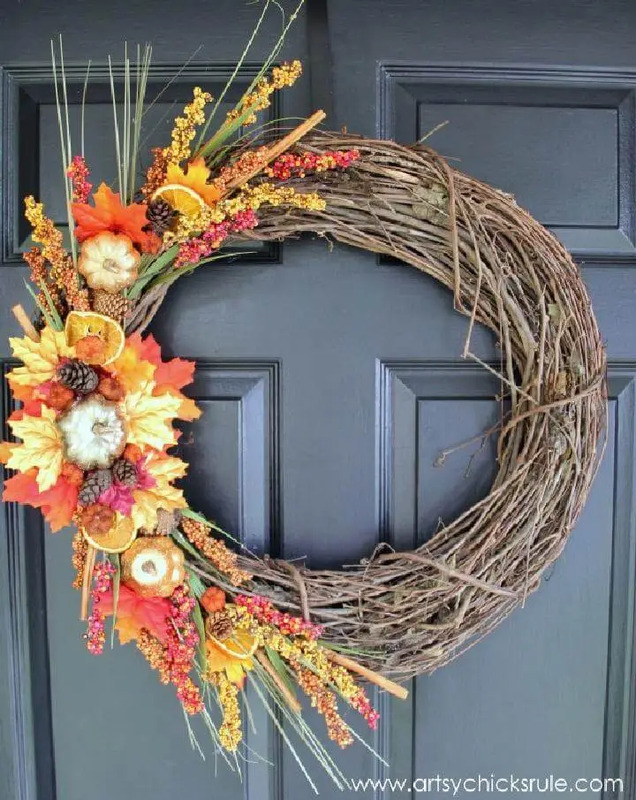 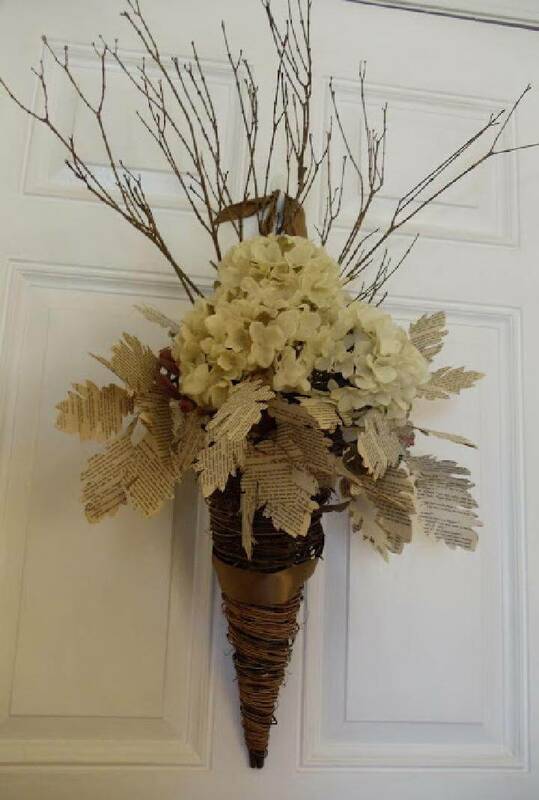 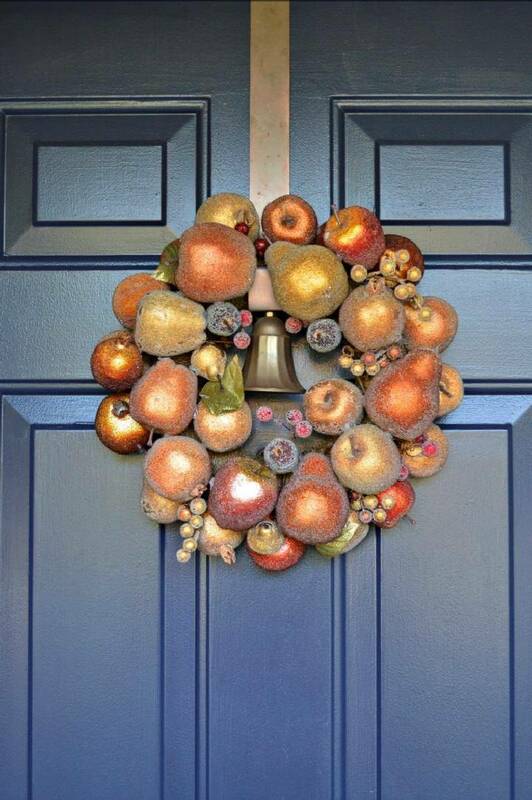 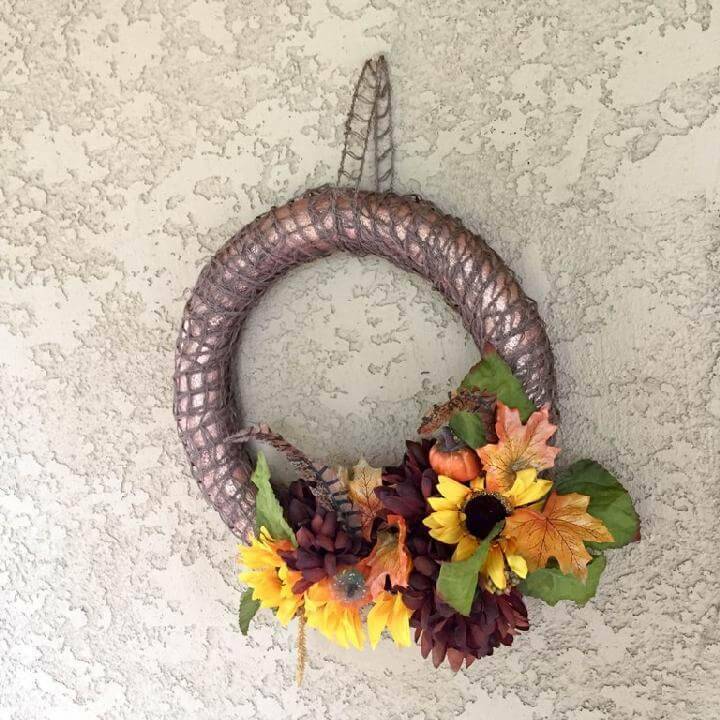 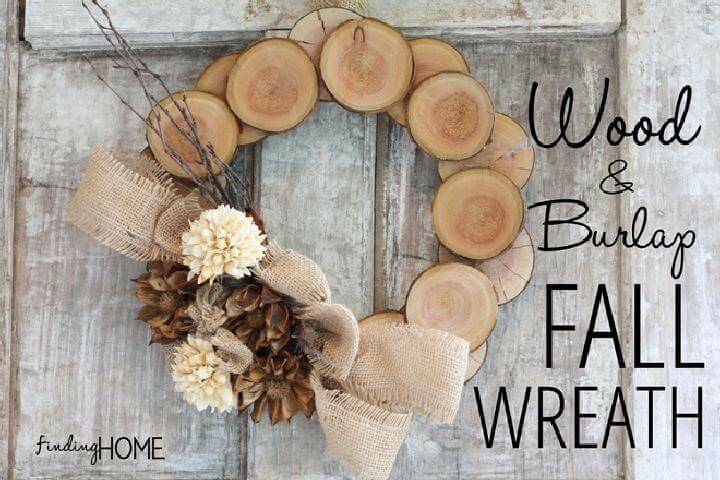 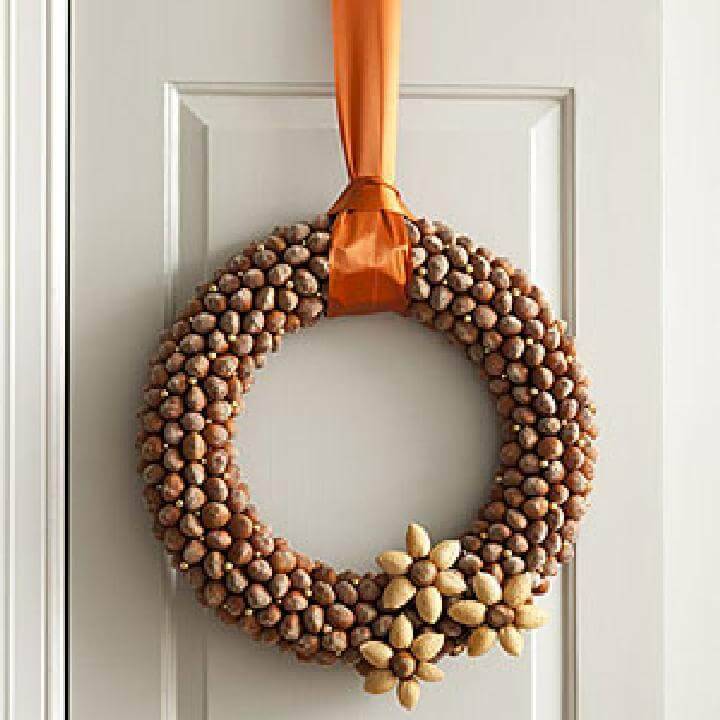 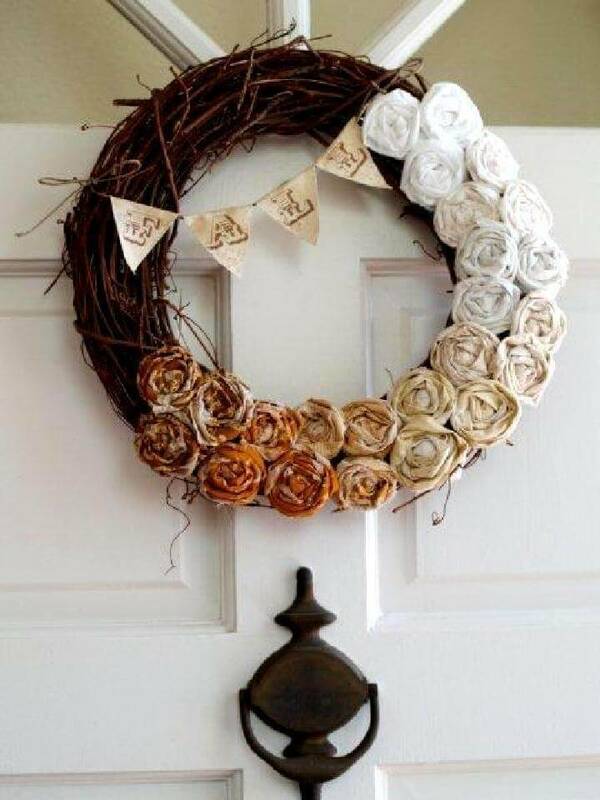 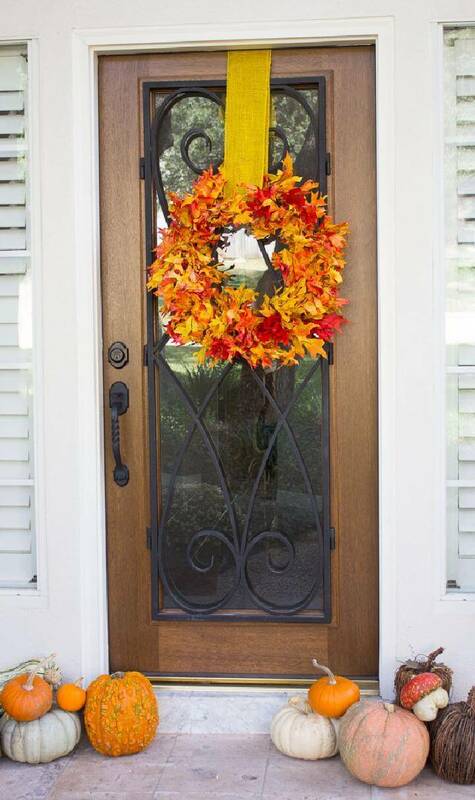 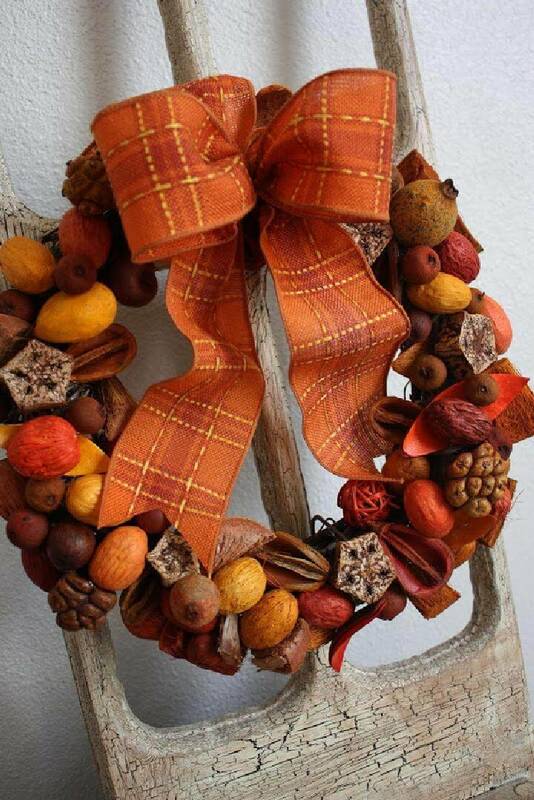 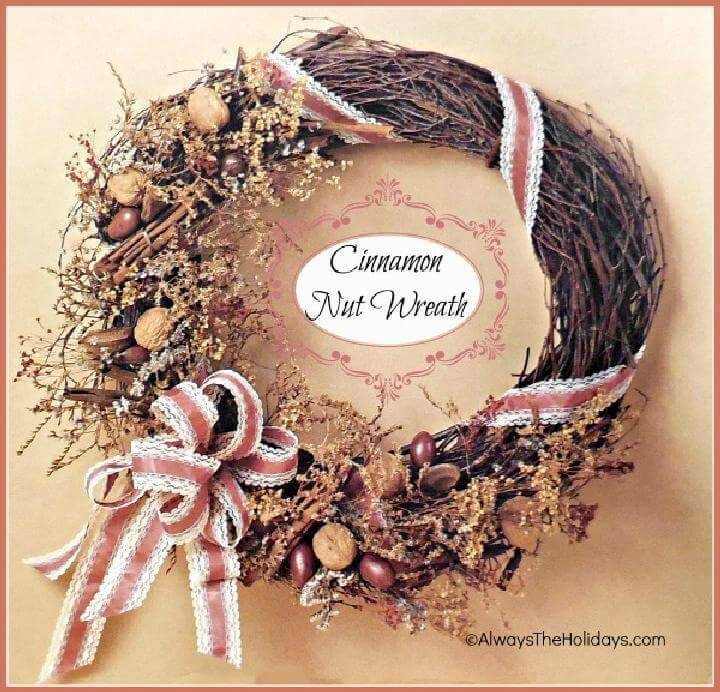 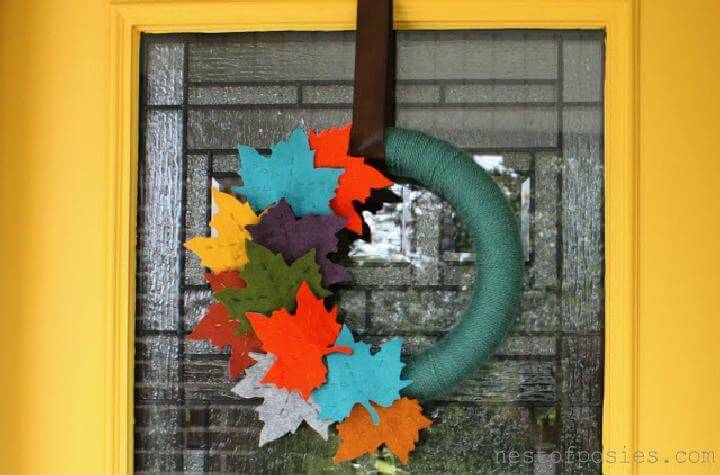 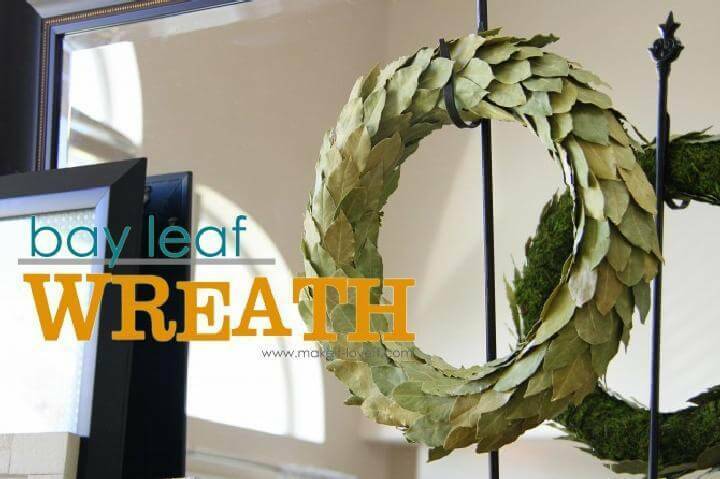 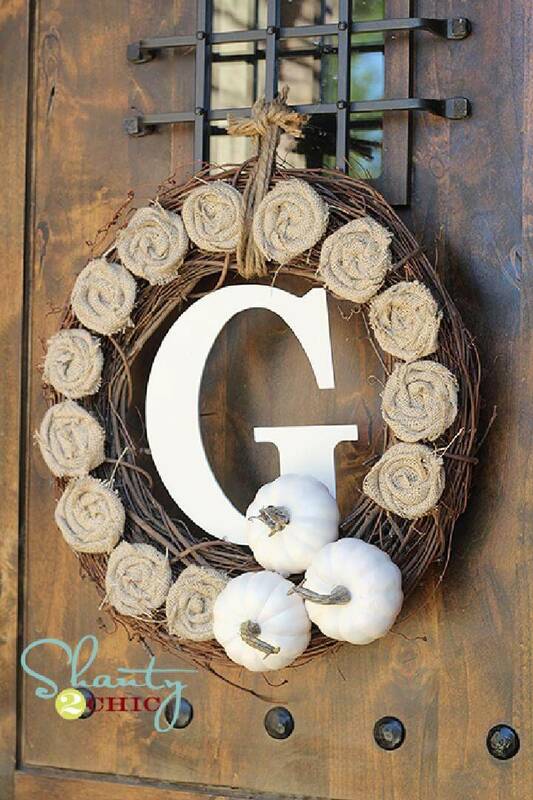 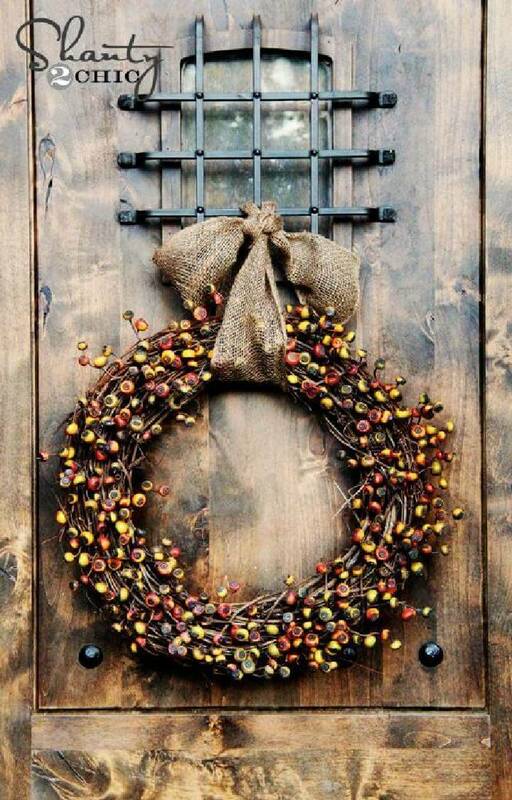 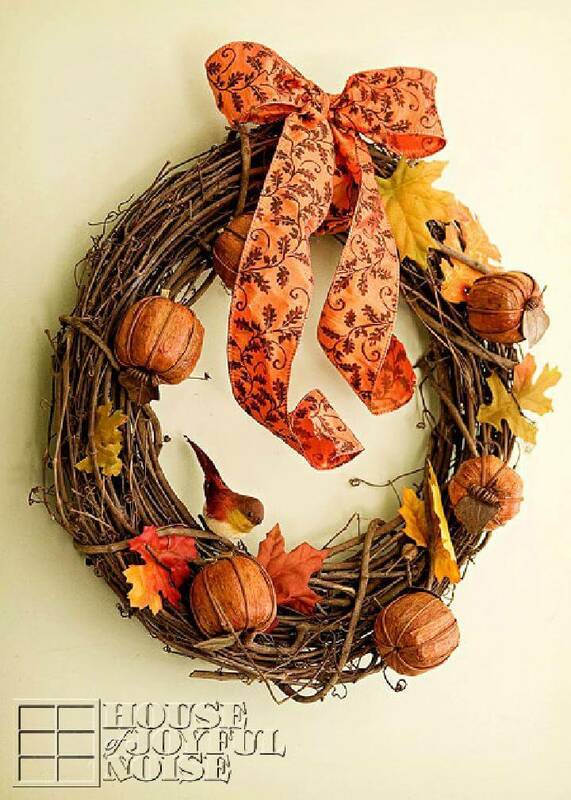 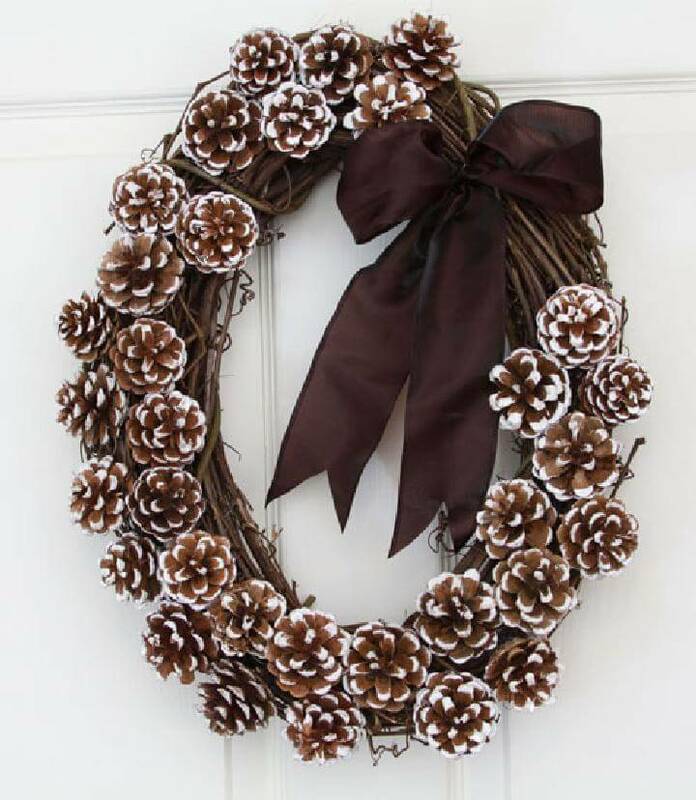 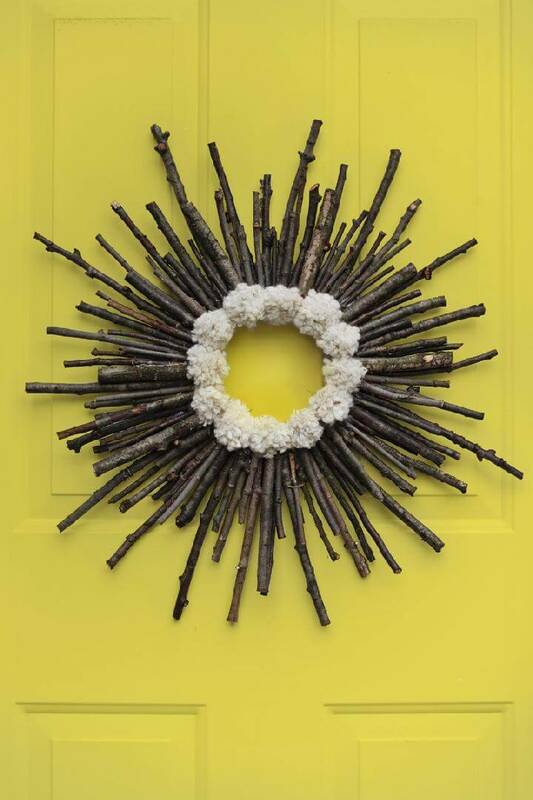 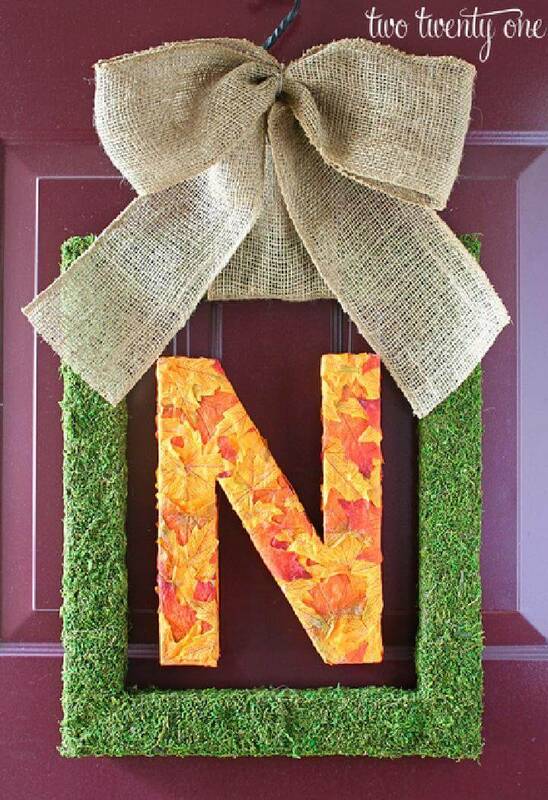 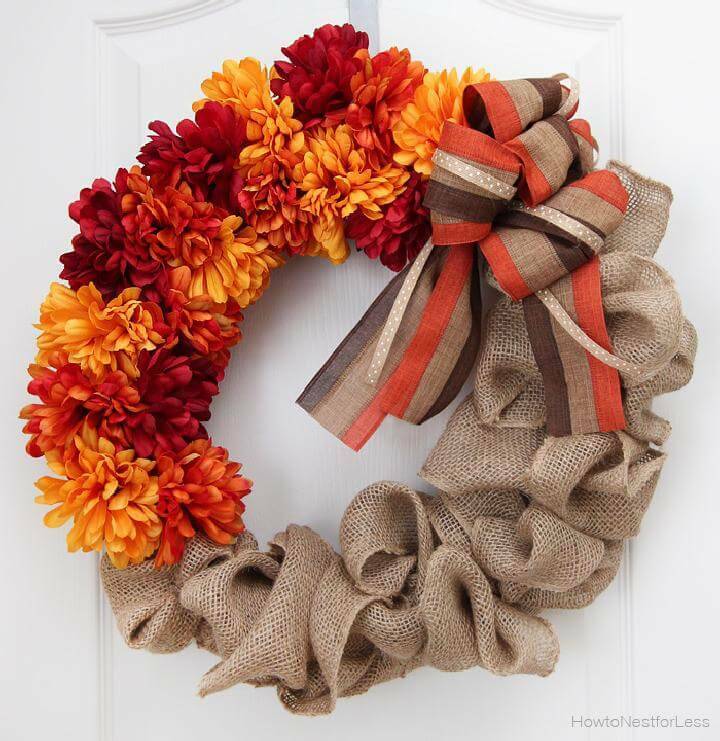 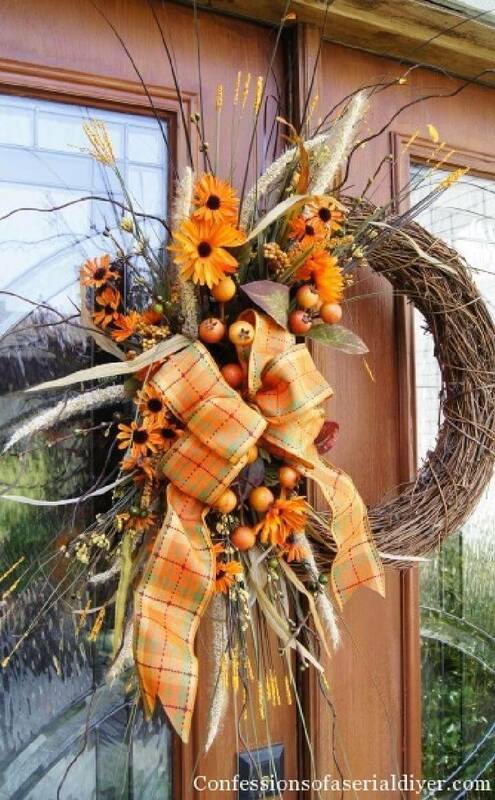 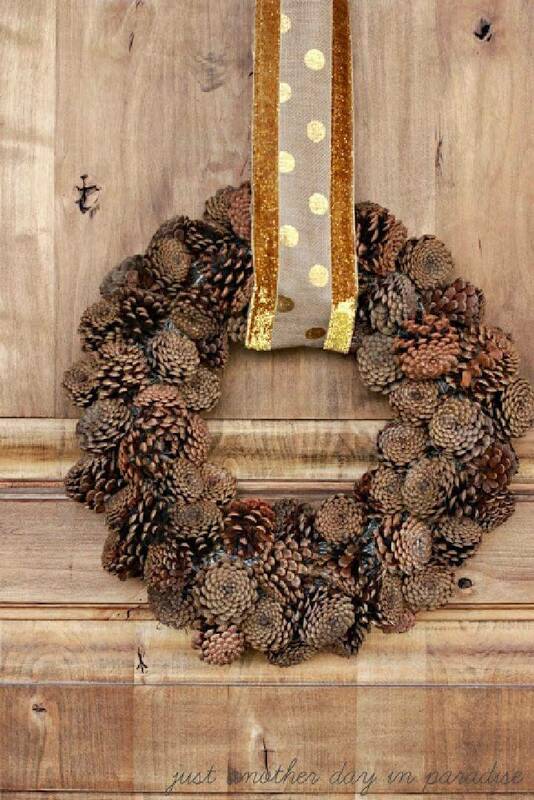 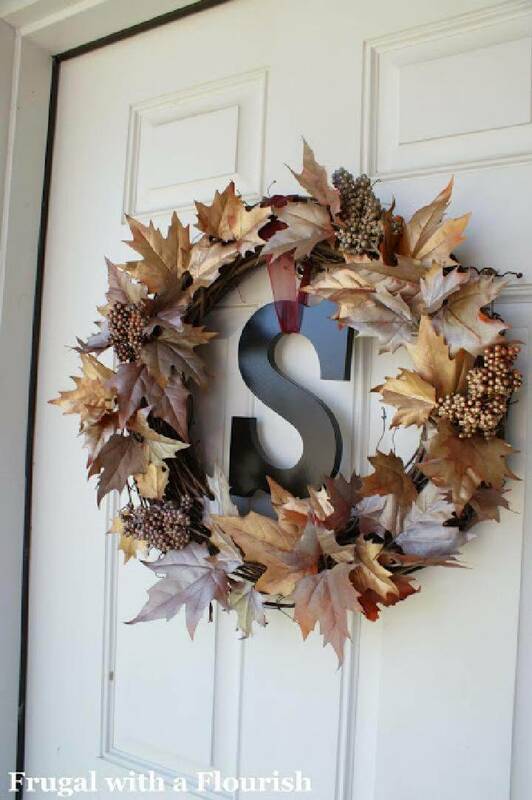 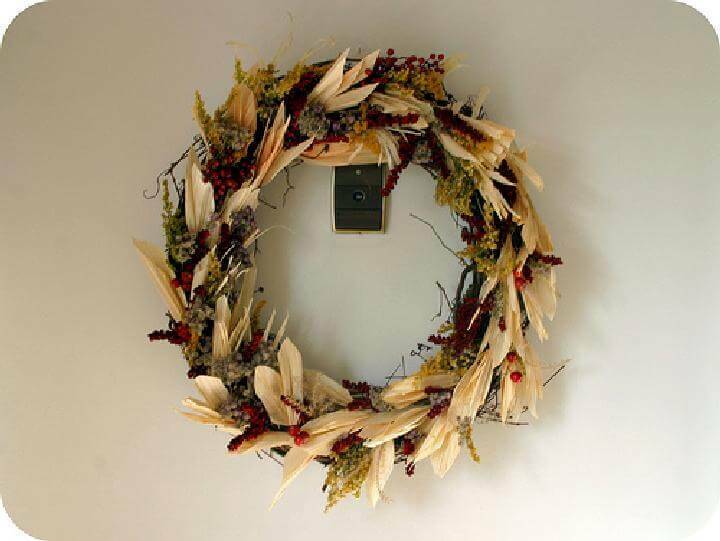 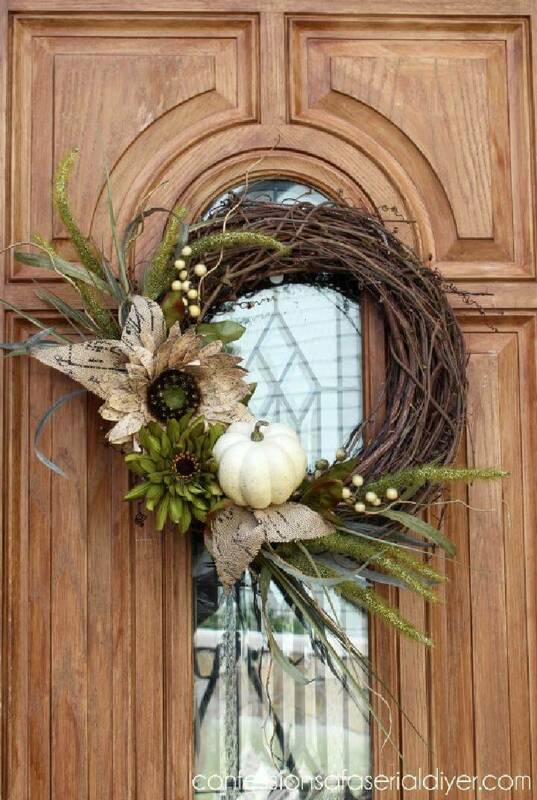 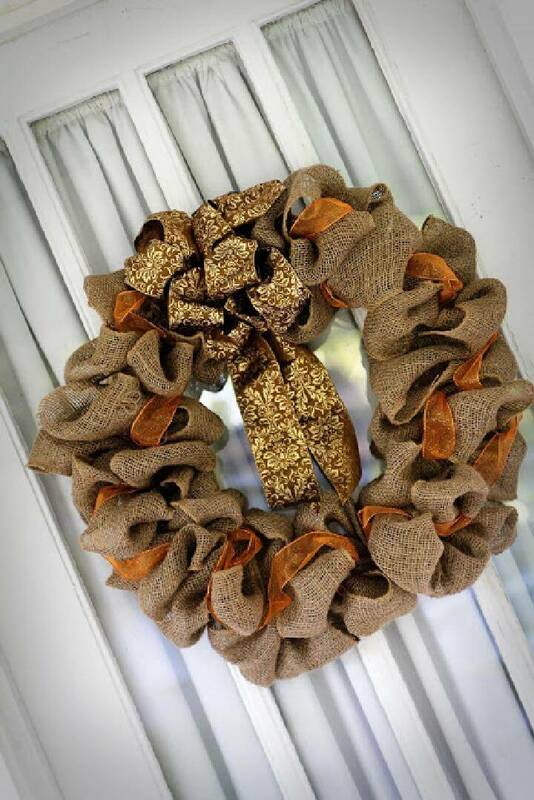 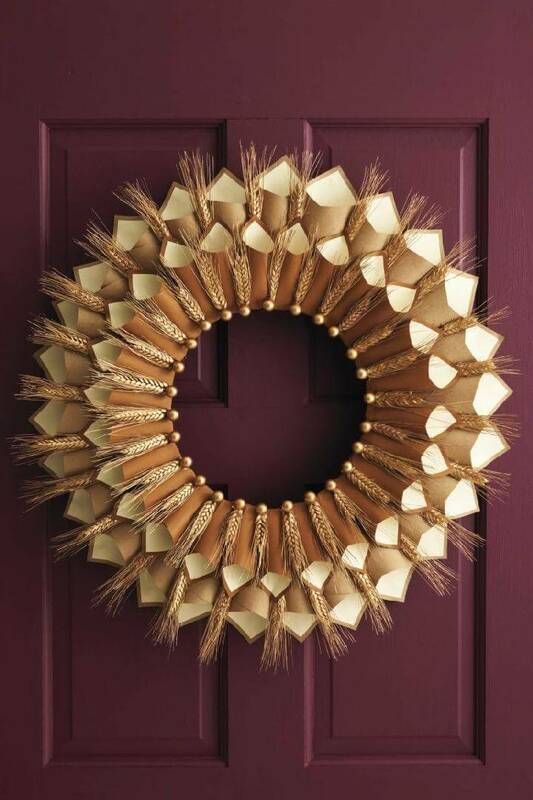 So make your doors ready to welcome this amazing season and wreaths are the best and the custom home decor pieces to embellish the doors for any fall event or celebration. 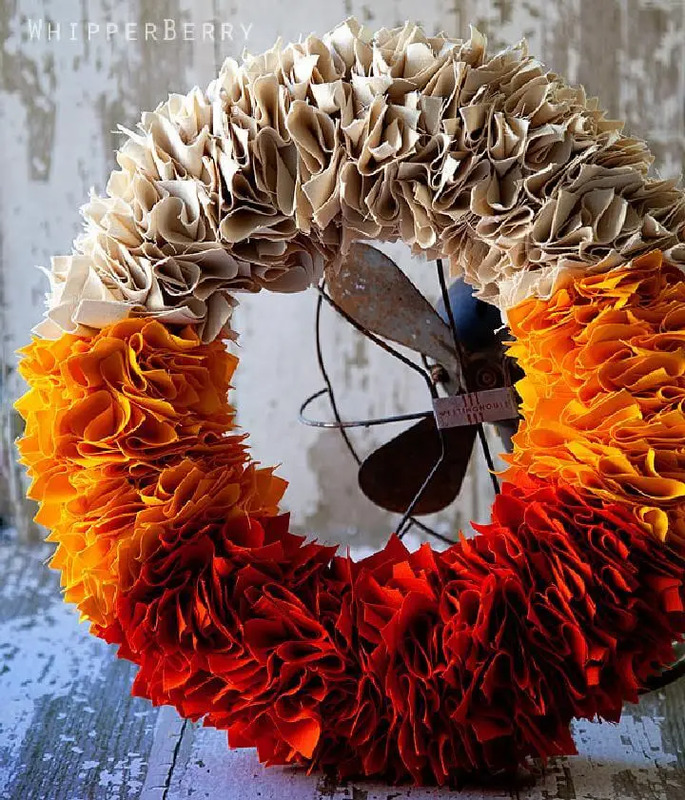 Instead of buying the wreaths from the market at the cost of a big fortune you can try making the cute and pretty DIY fall wreaths at home this time. 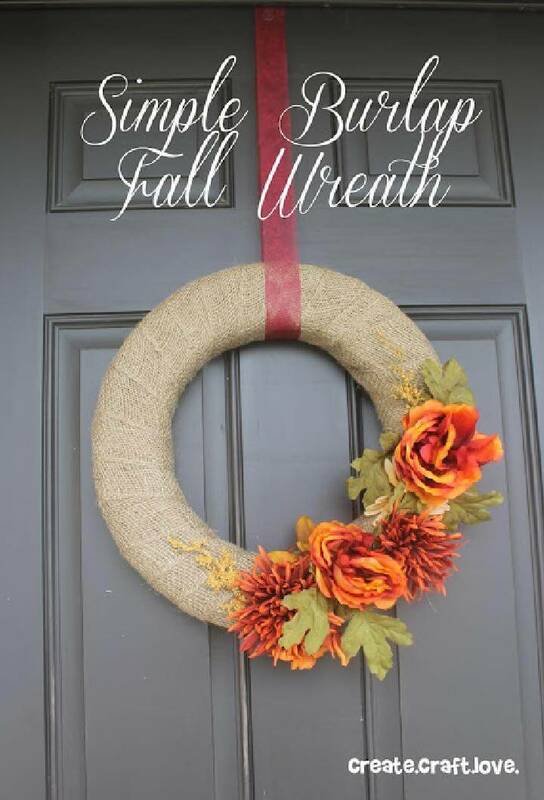 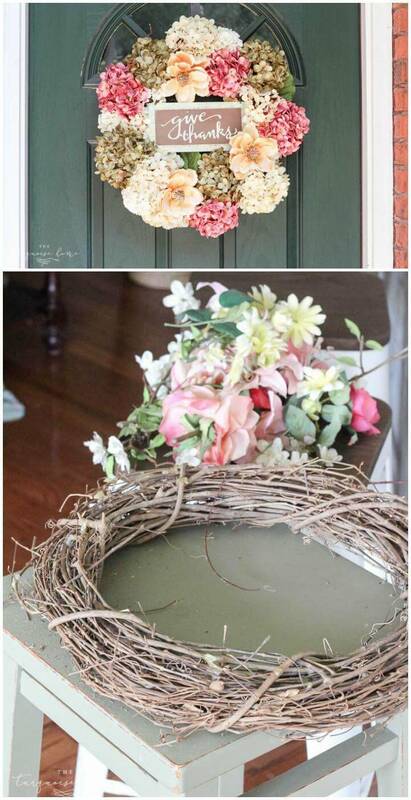 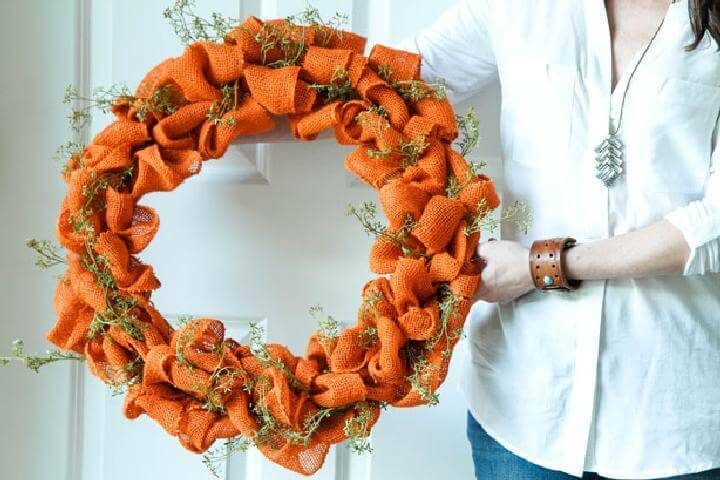 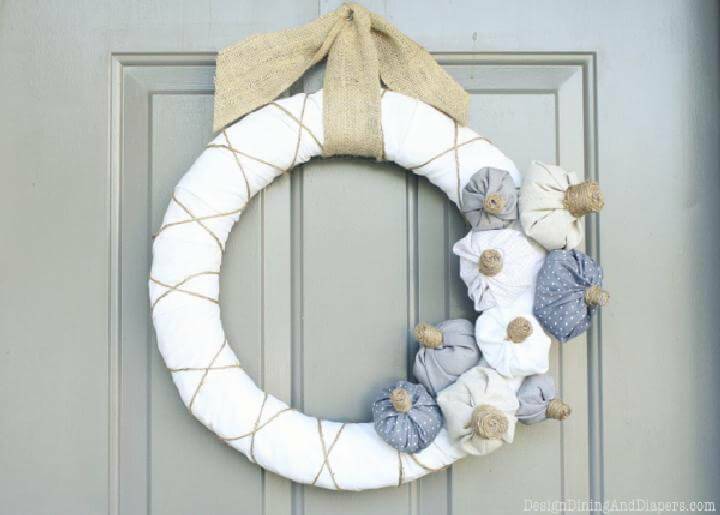 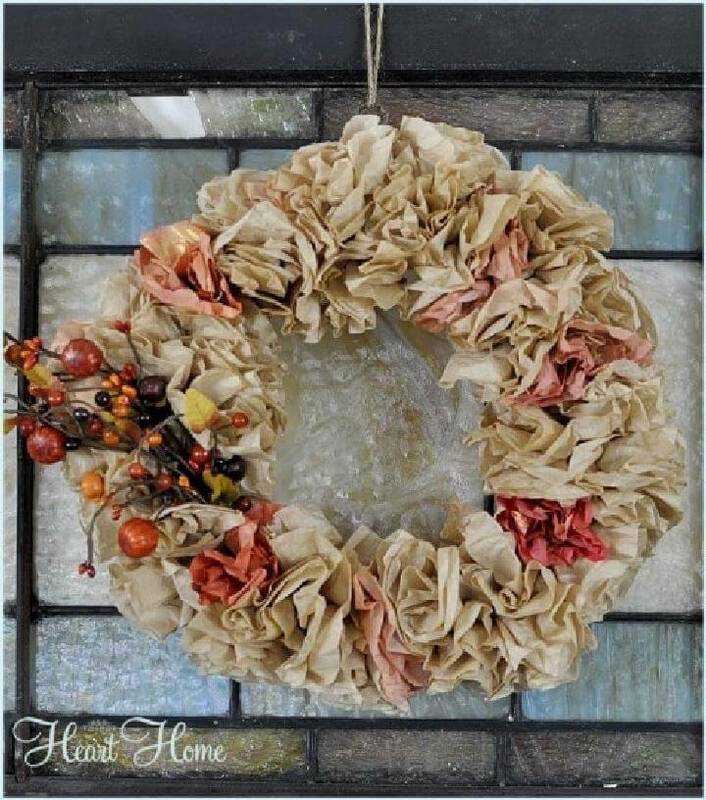 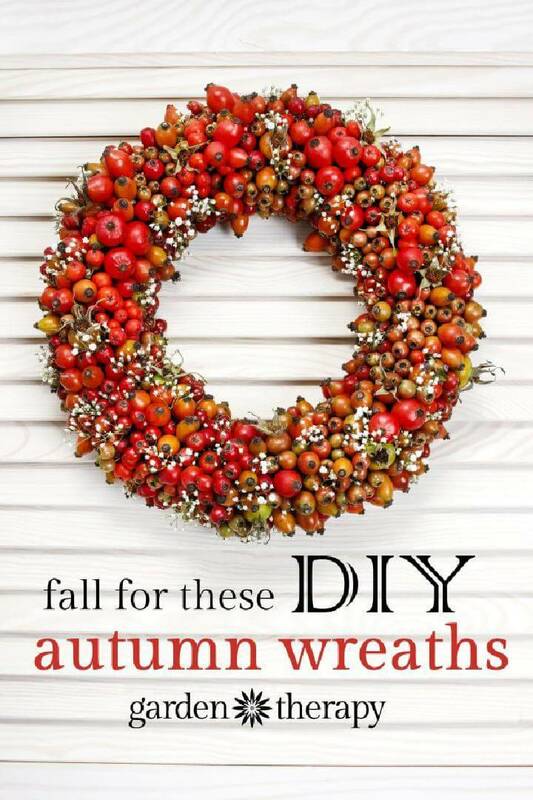 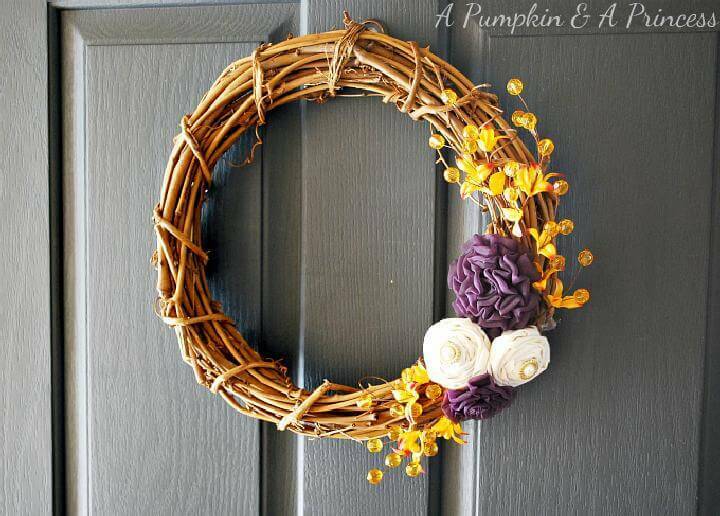 And to stir up your imagination of DIY Fall Wreaths we have this giant list of 116 DIY fall wreath ideas that you can easily make at home and give your doors a lovely welcoming look! 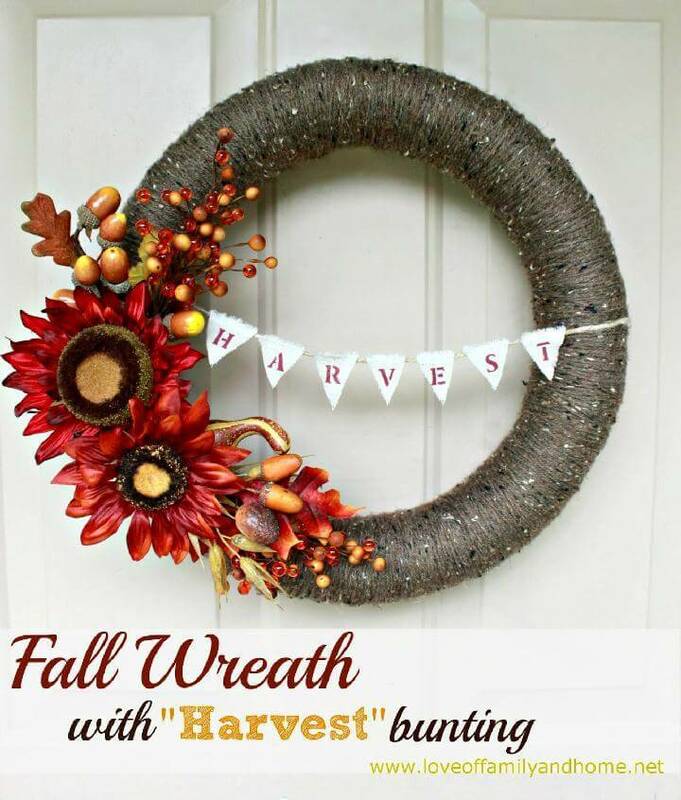 Being the season of harvest the fall is really special and fun festive time of the year as it brings the Thanksgiving where we enjoy family dinners and pay our gratitude to God for the provision of healthy and tasty food. 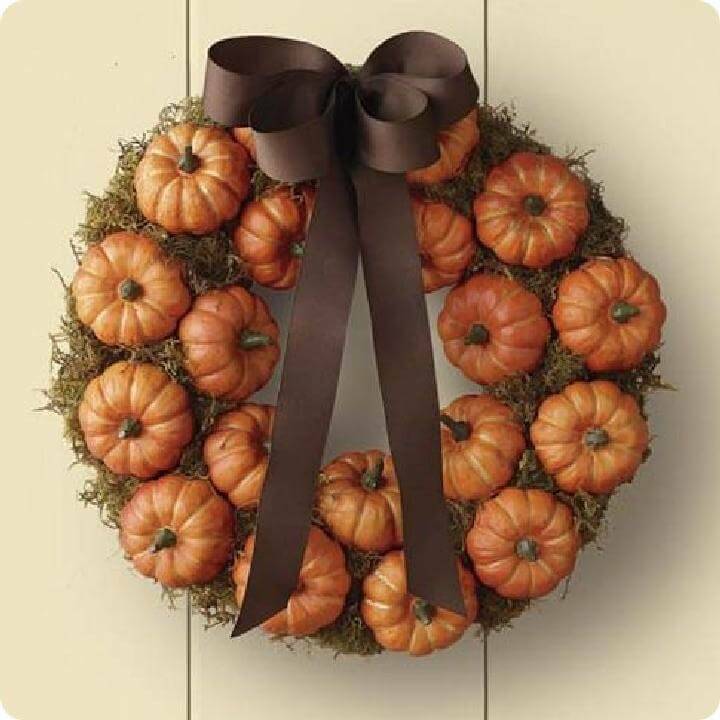 And pumpkin is the symbolic food of the harvest season that is why it is largely used in the fall decor and so in the making of the pretty wreaths. 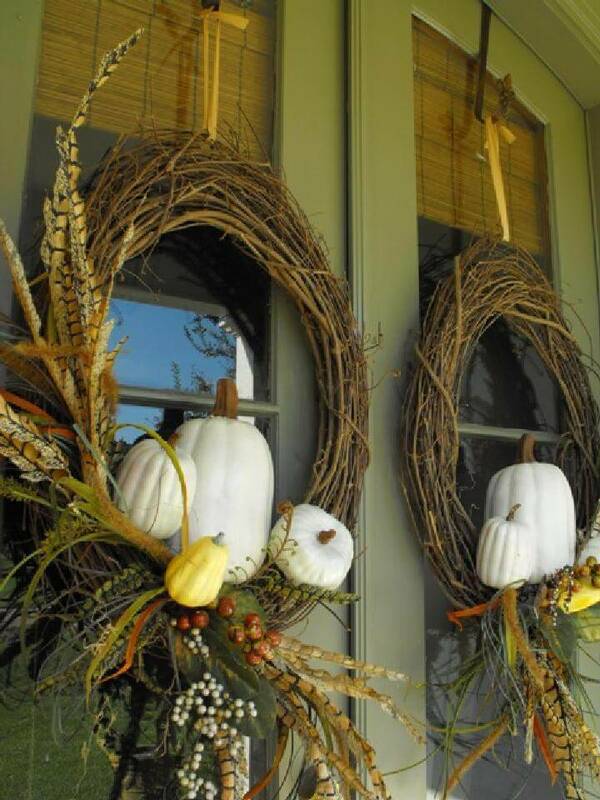 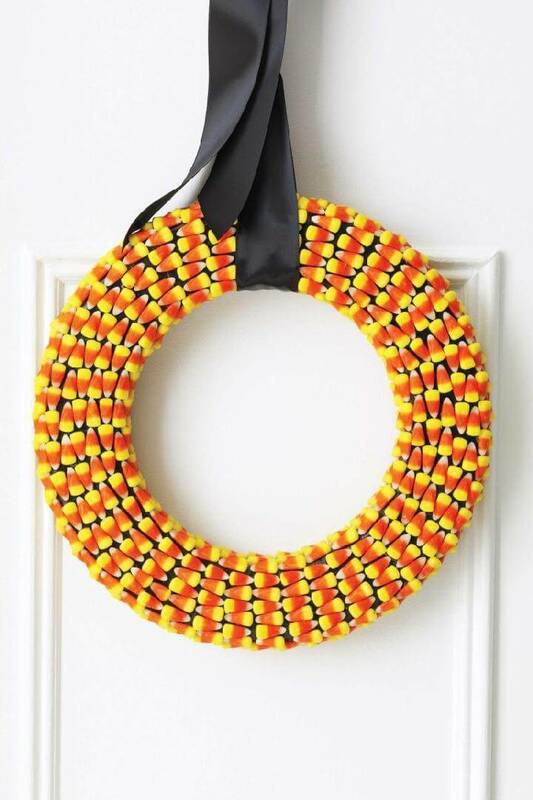 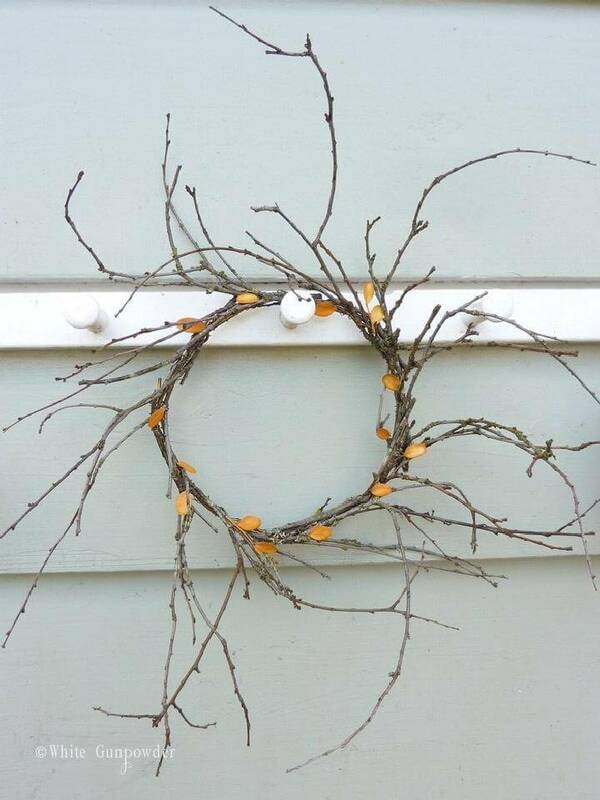 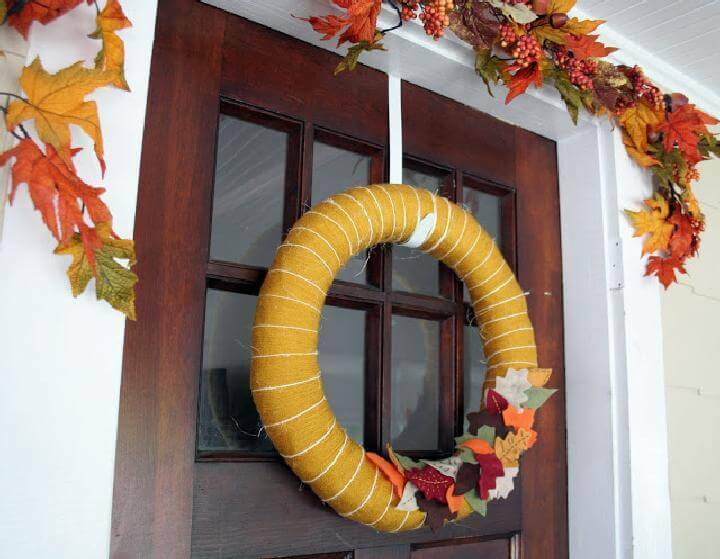 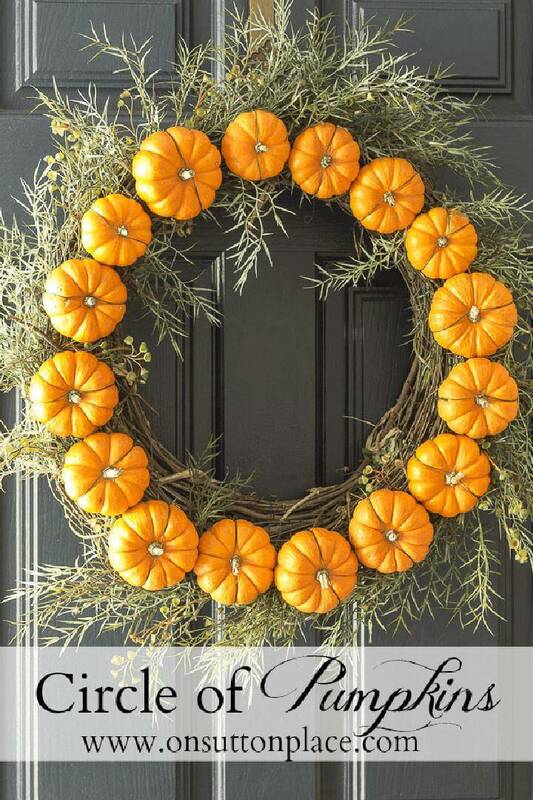 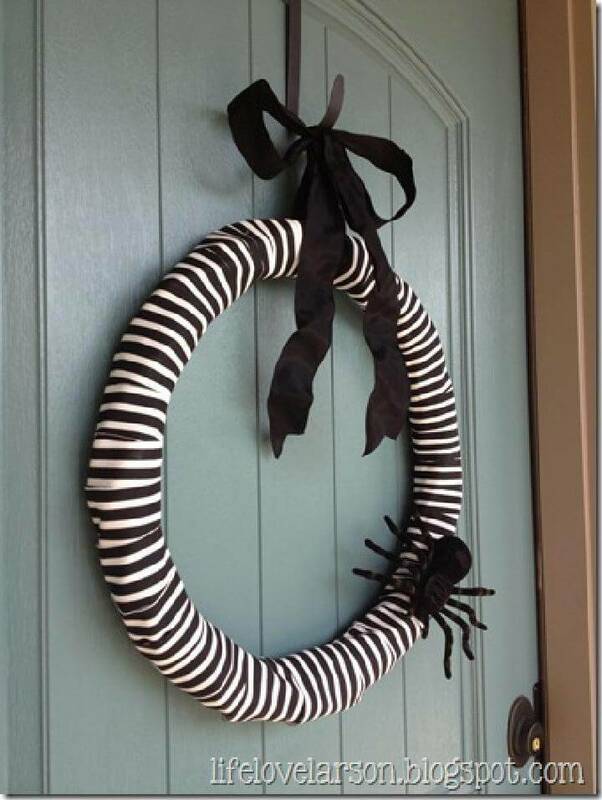 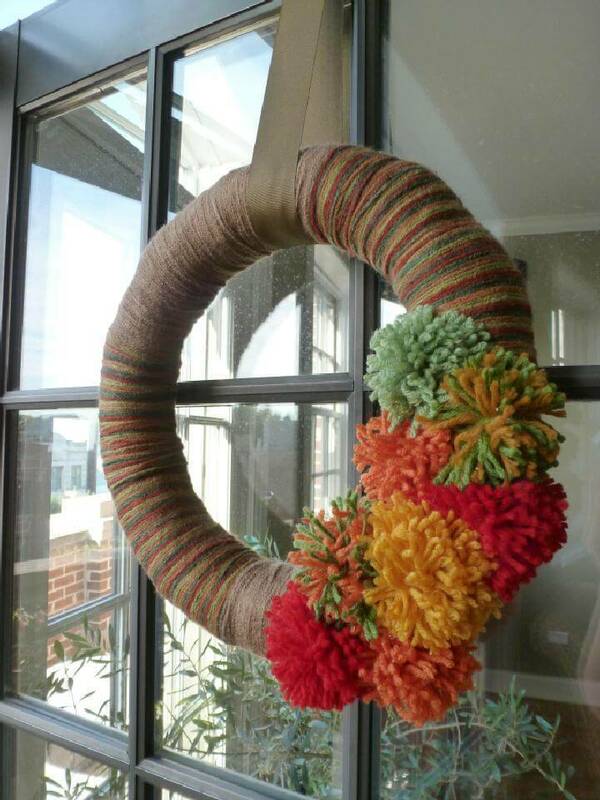 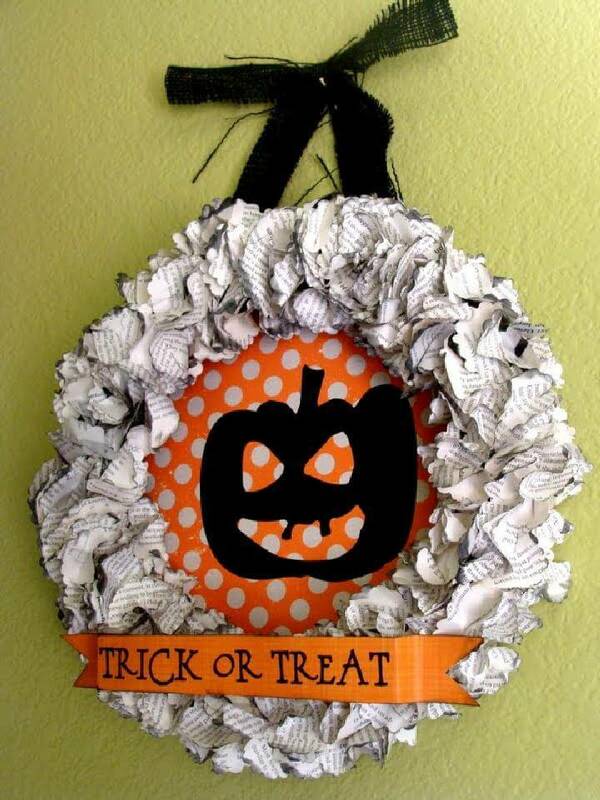 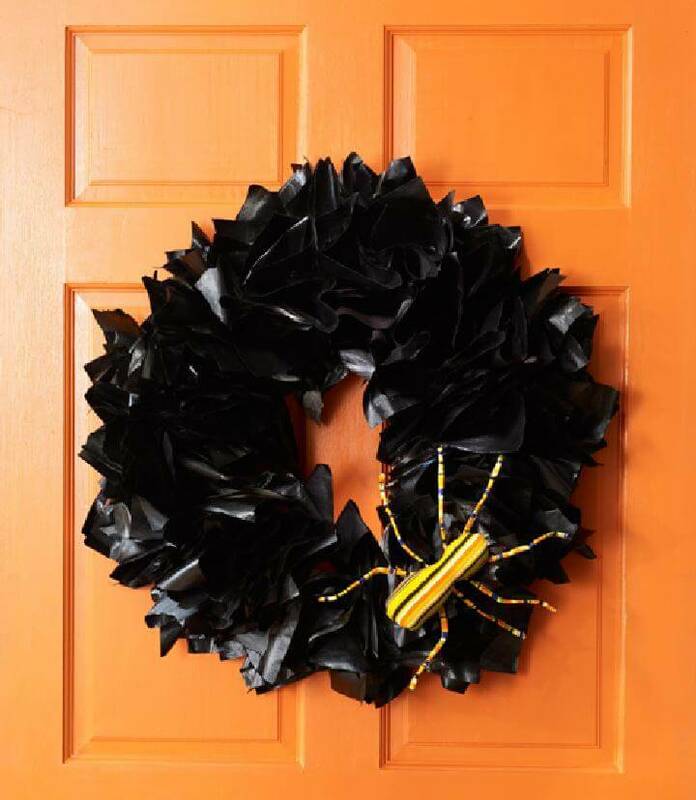 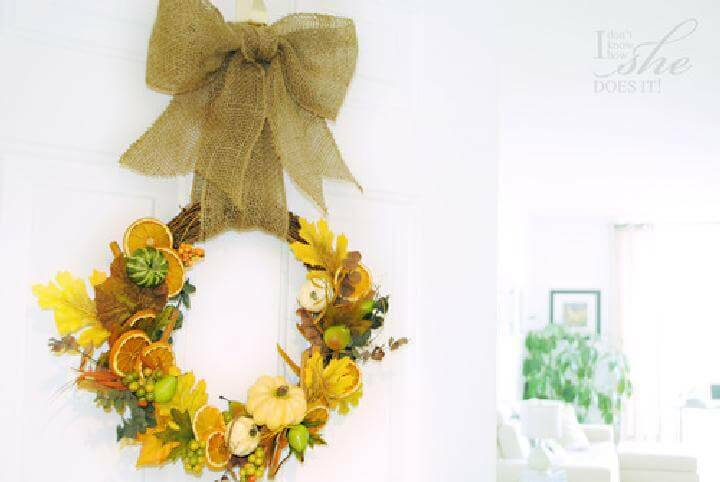 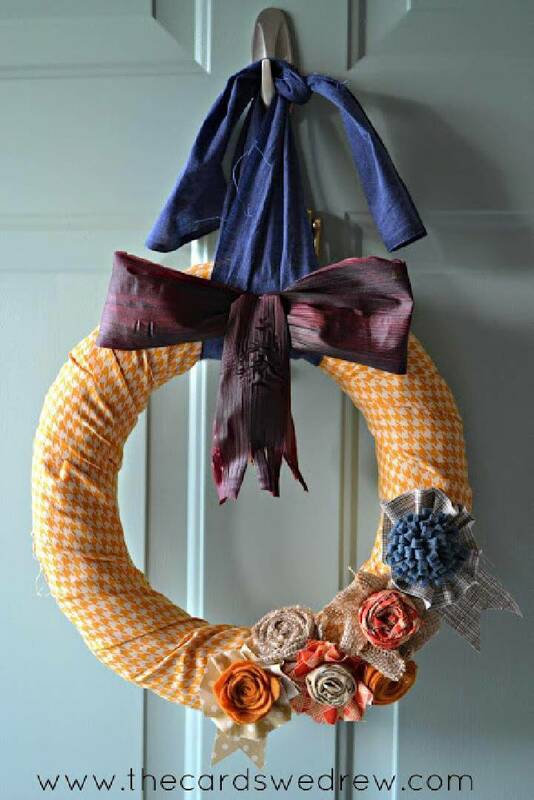 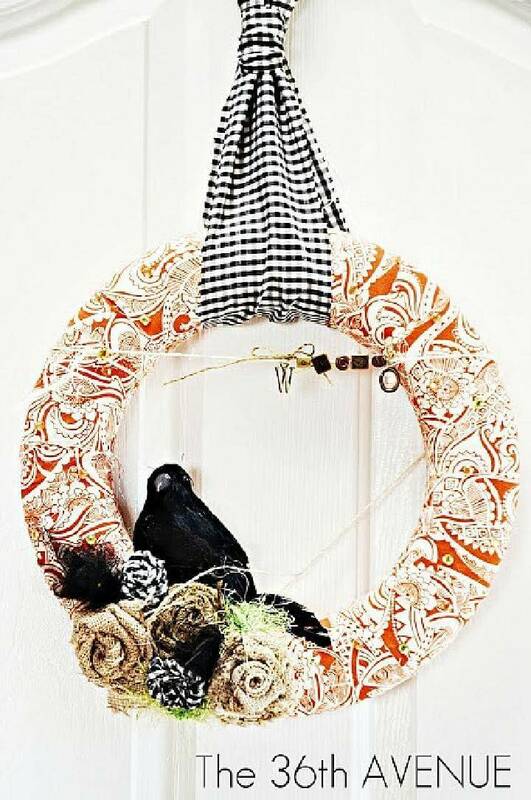 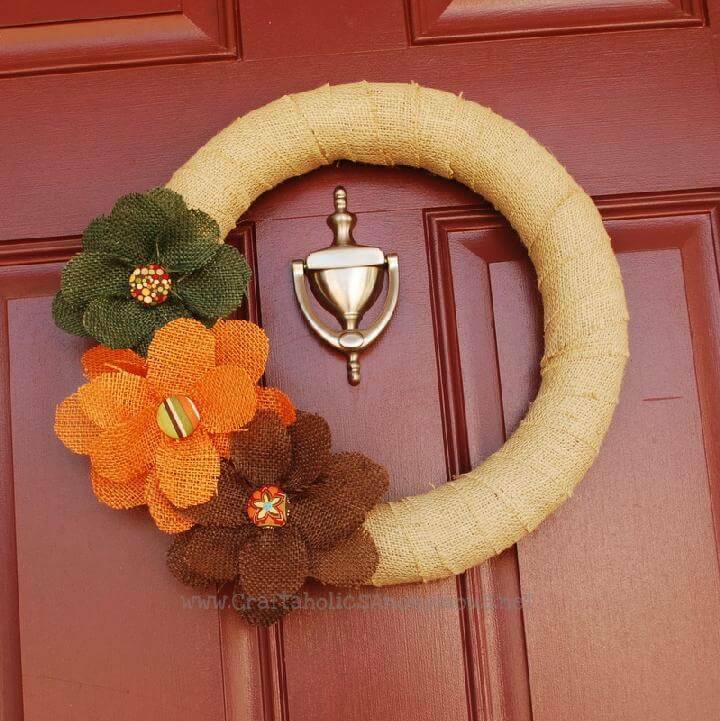 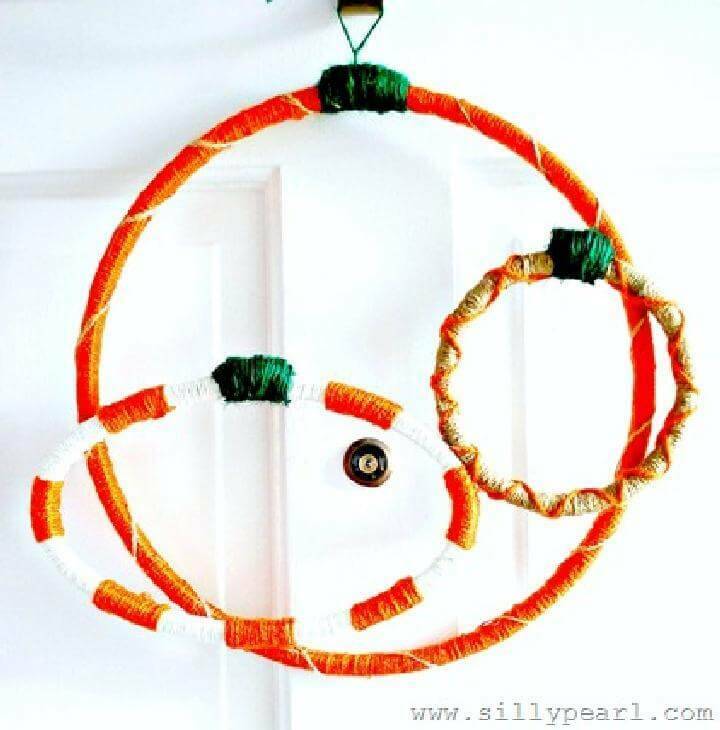 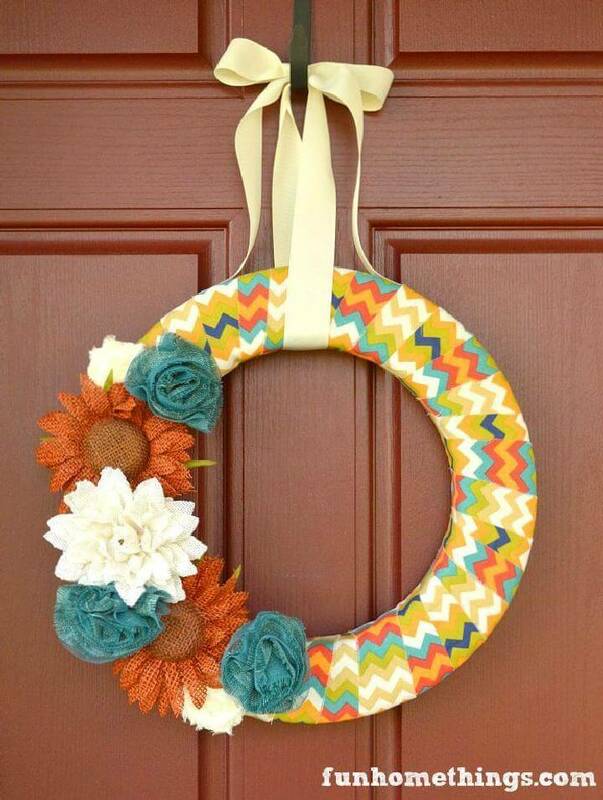 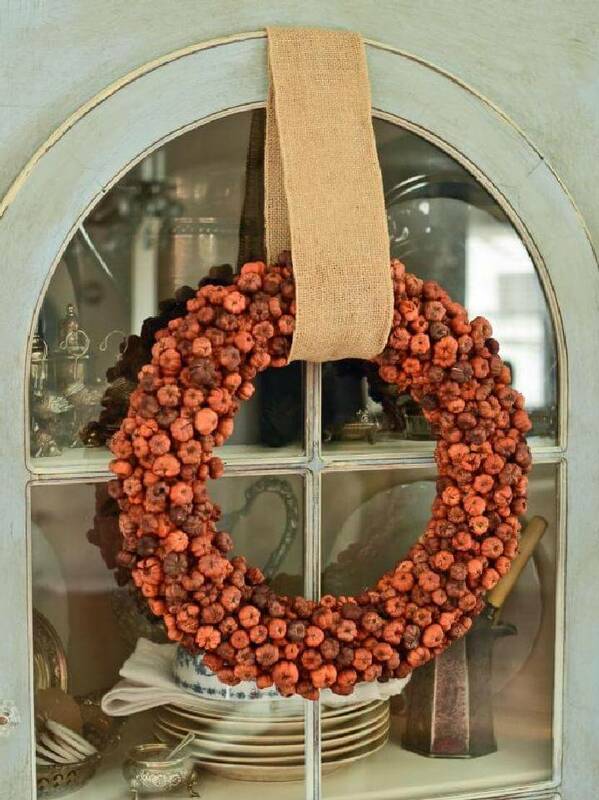 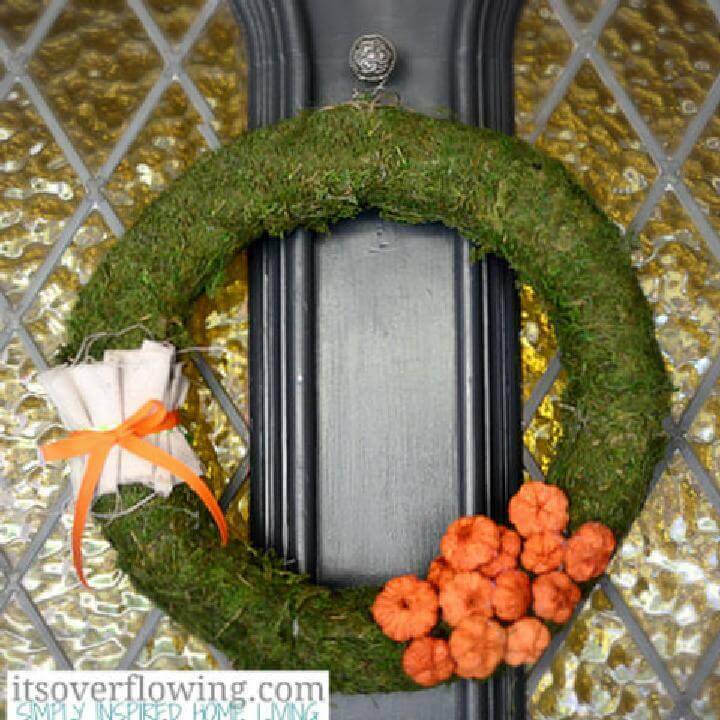 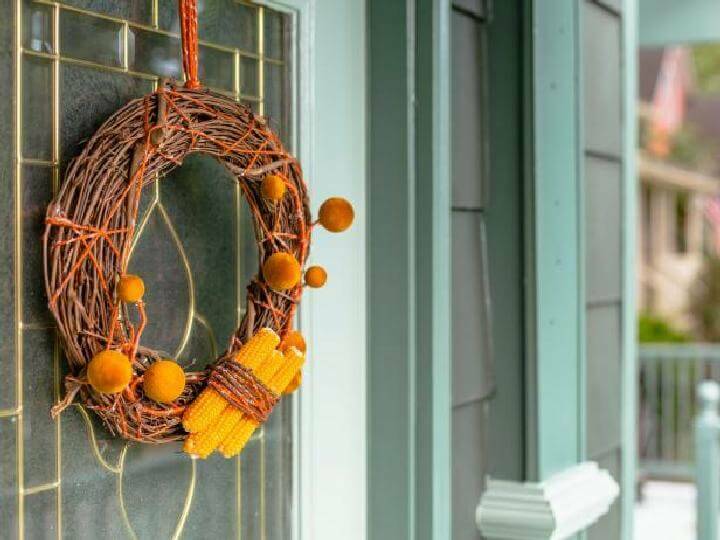 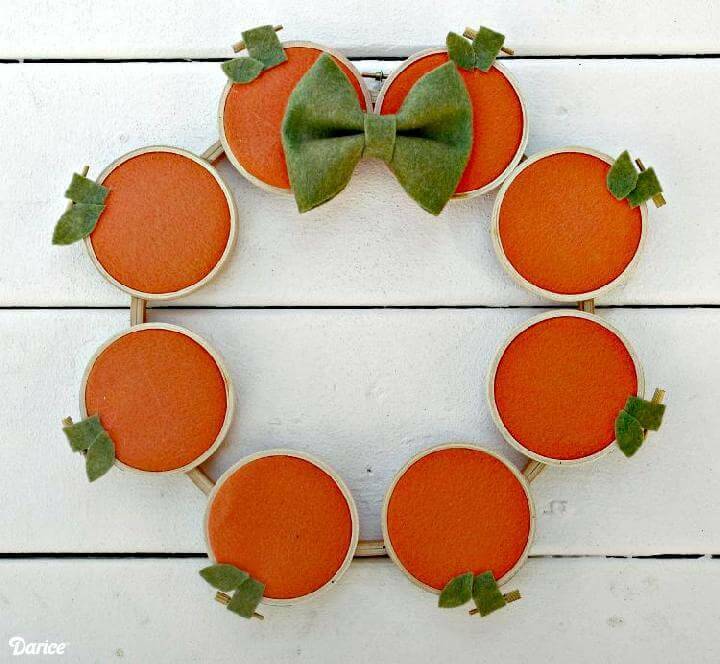 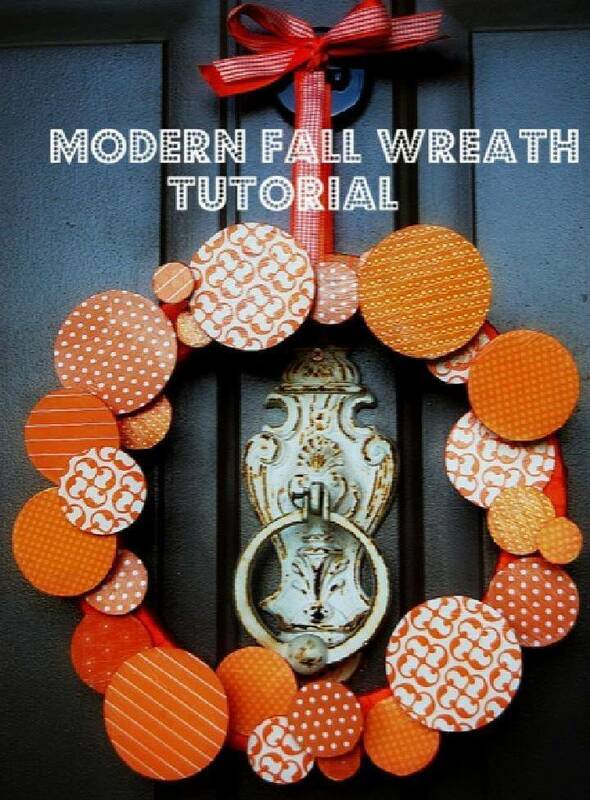 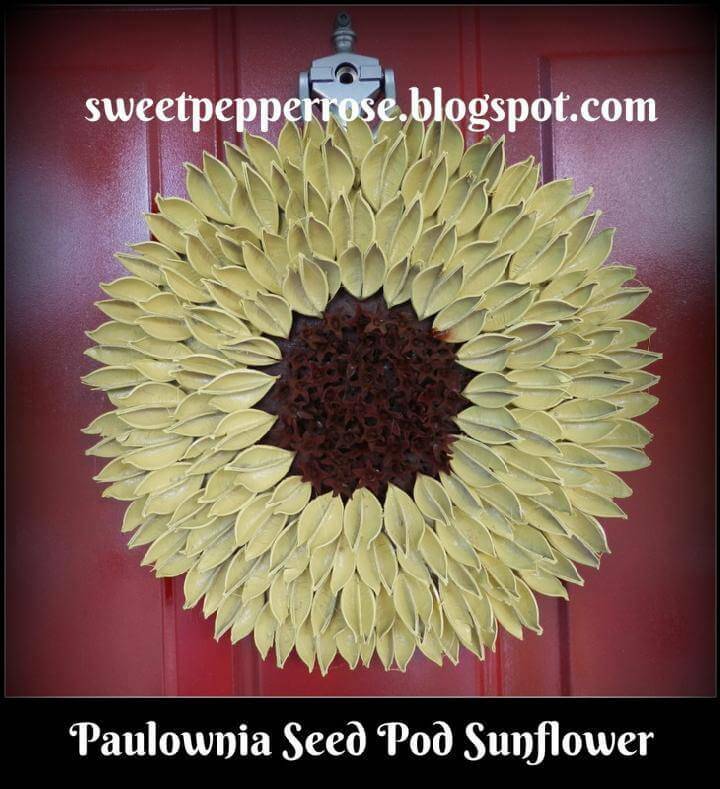 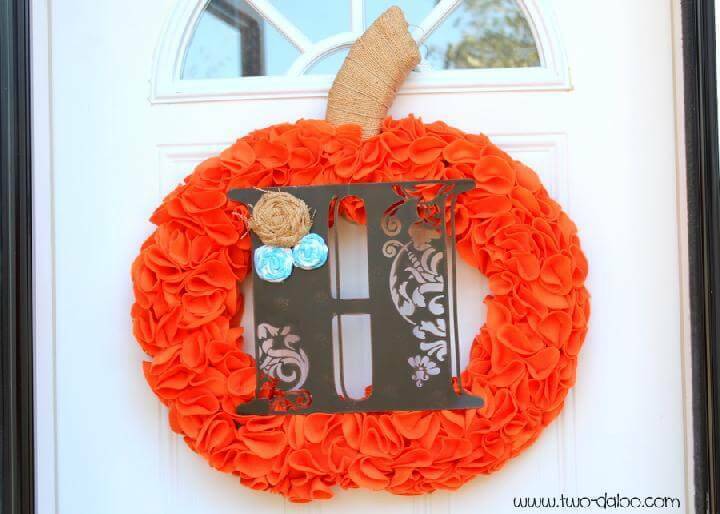 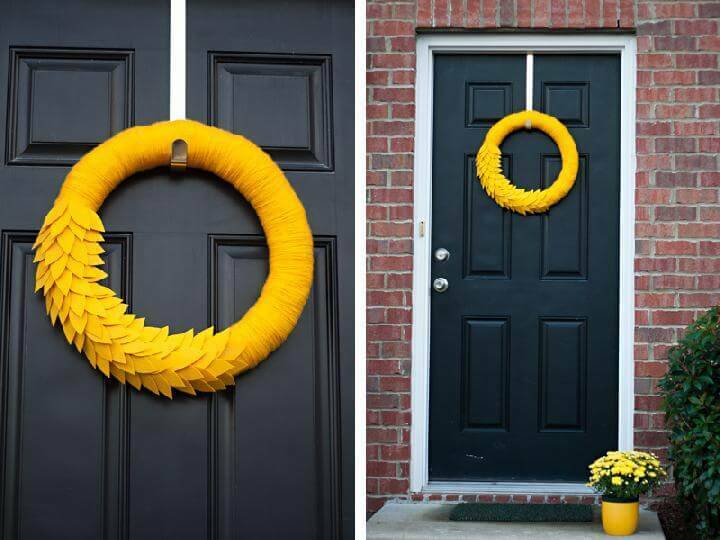 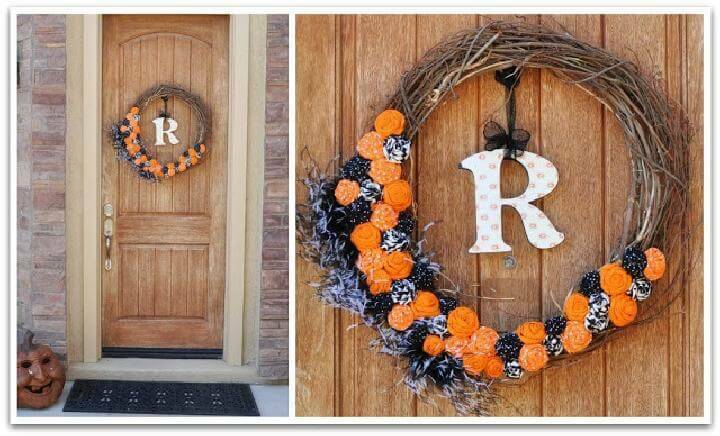 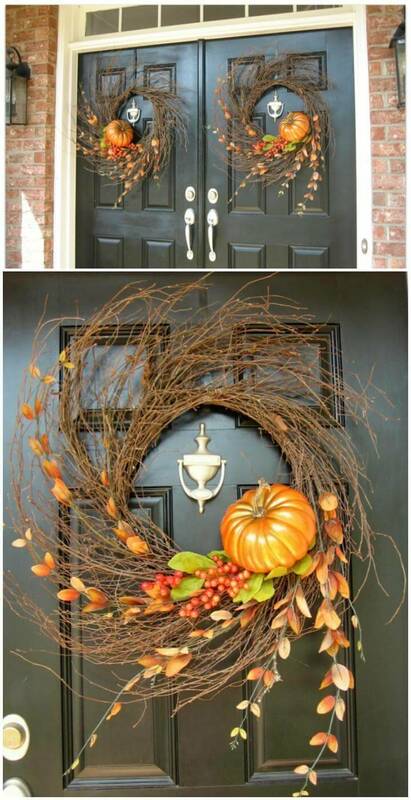 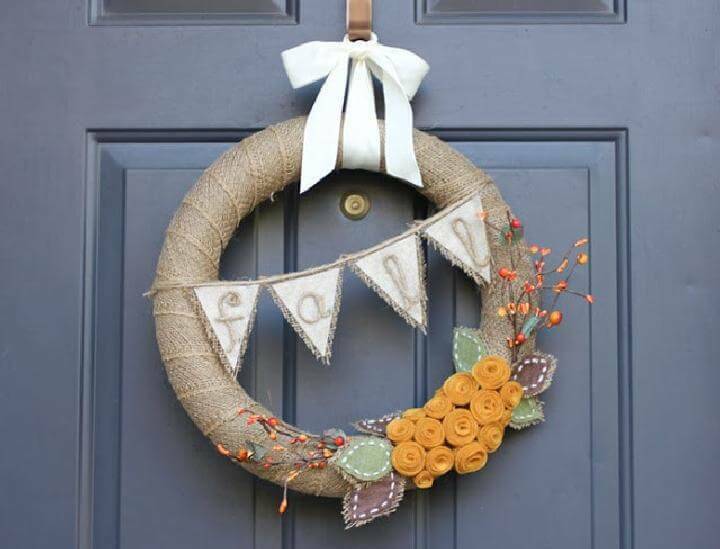 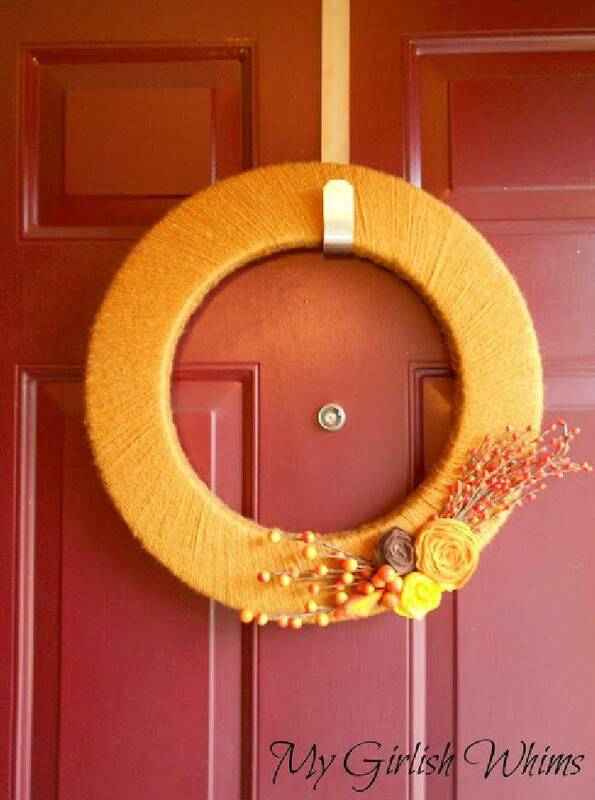 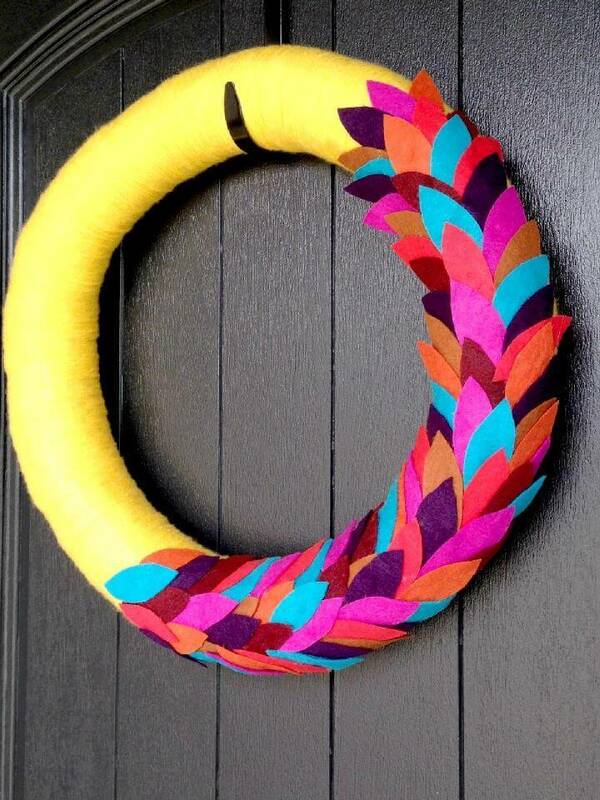 So you can use the pumpkins in lots of fun and cute ways to craft a gorgeous and festive wreath for your doors. 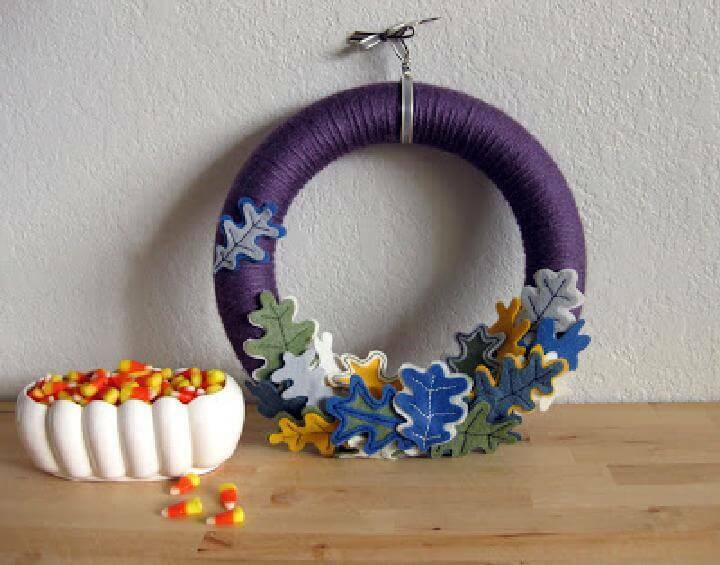 They can be painted, stained, embellished with beads, pearls and now even the cute small faux pumpkins are available in the market for a feasible crafting of the desired wreaths! 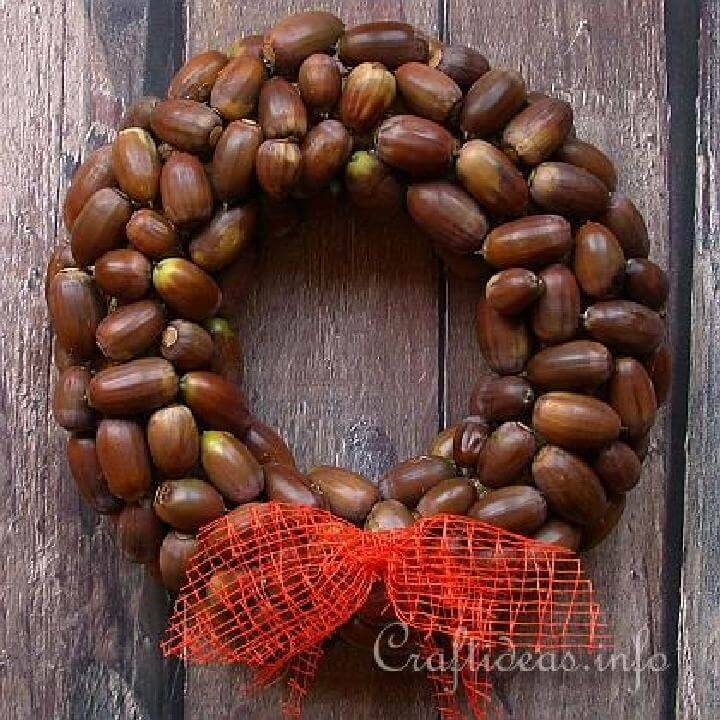 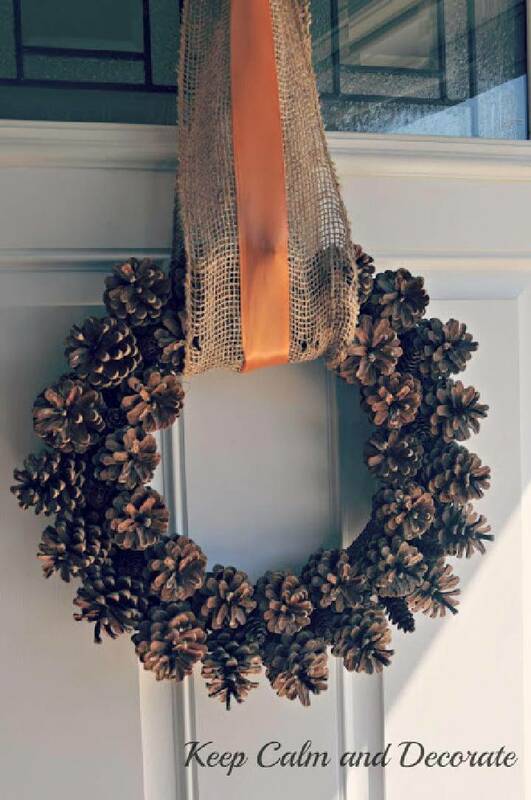 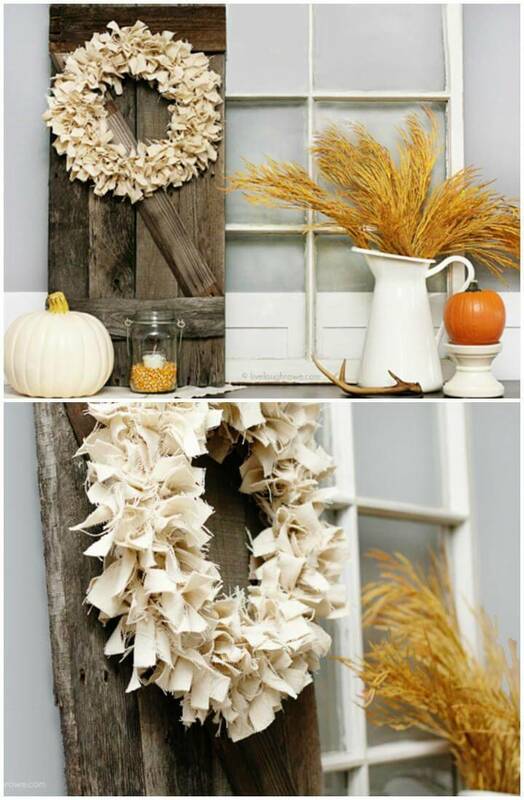 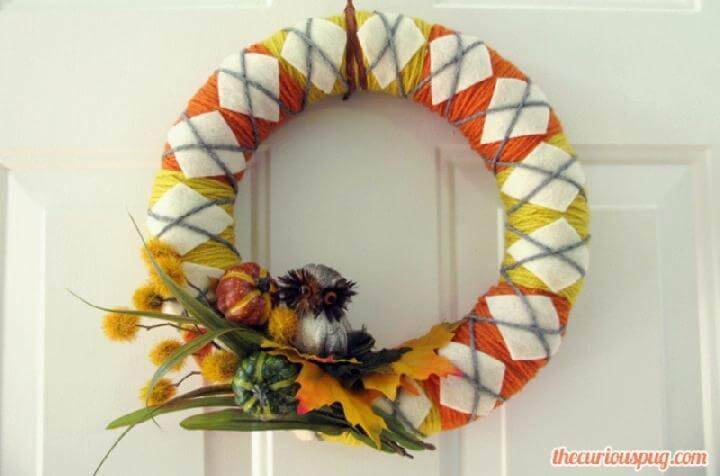 Apart from the pumpkins, there are a lot of things that you can use to make the wreaths and bring the festive vibes in your DIY home decor like the pine cones, apples, flowers, fall leaves, corn and corn candies etc. 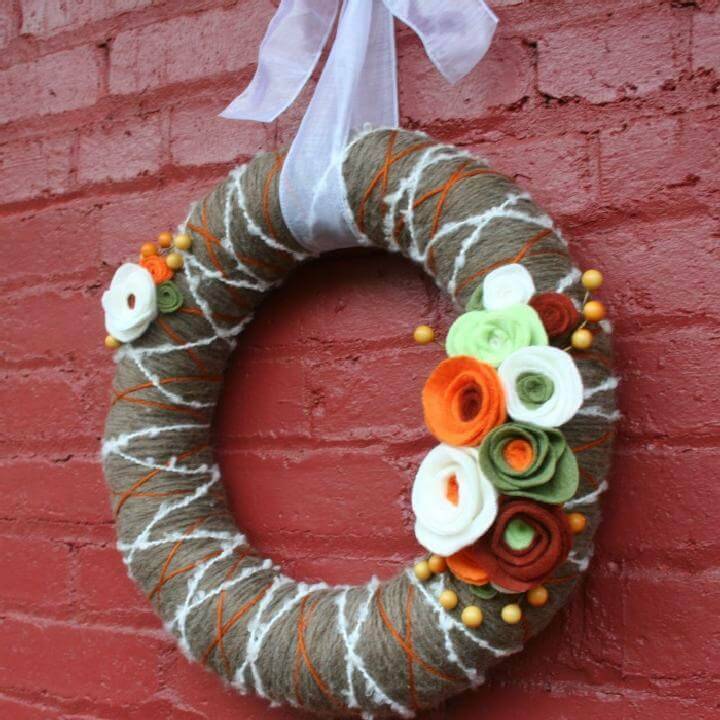 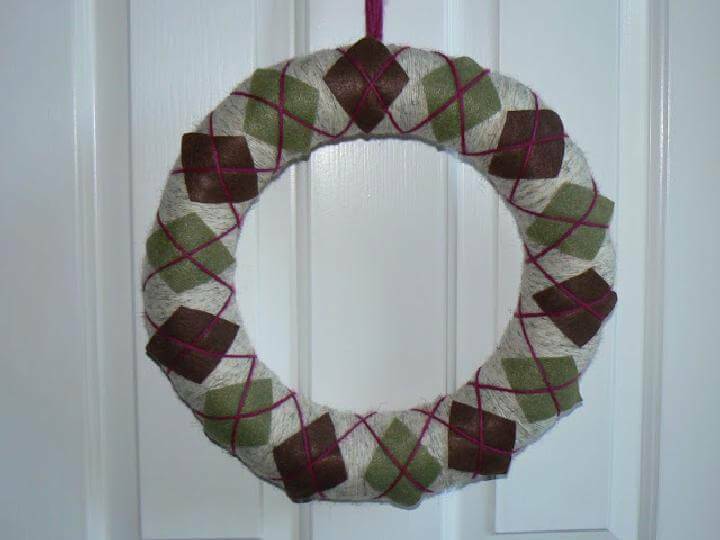 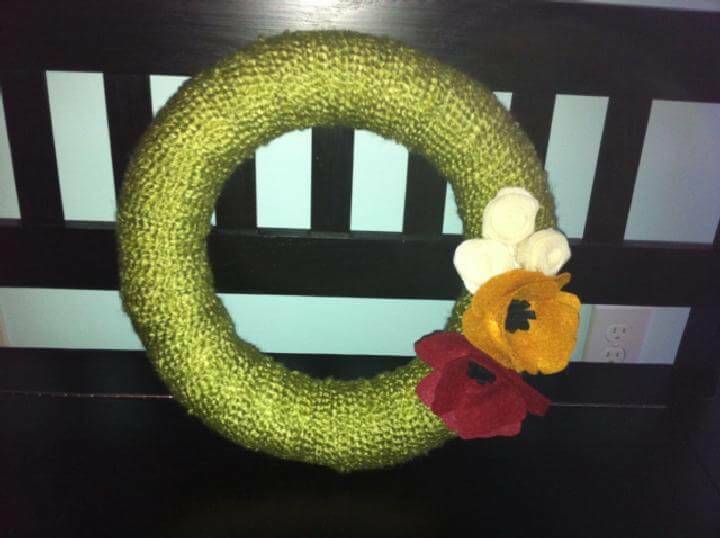 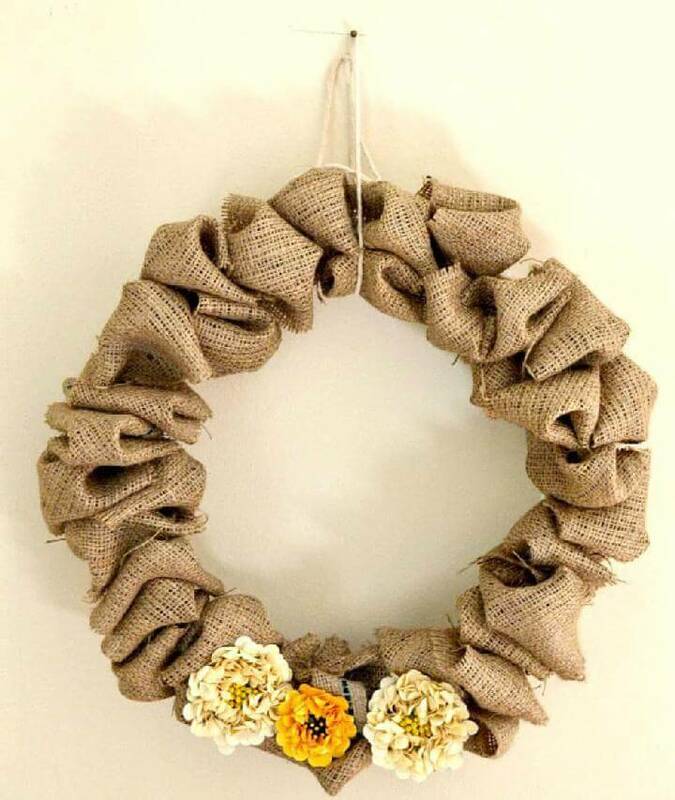 To save more your money you can get your hands on burlap wreaths, fabric wreaths, felt wreaths, yarn wreaths and paper wreaths etc. 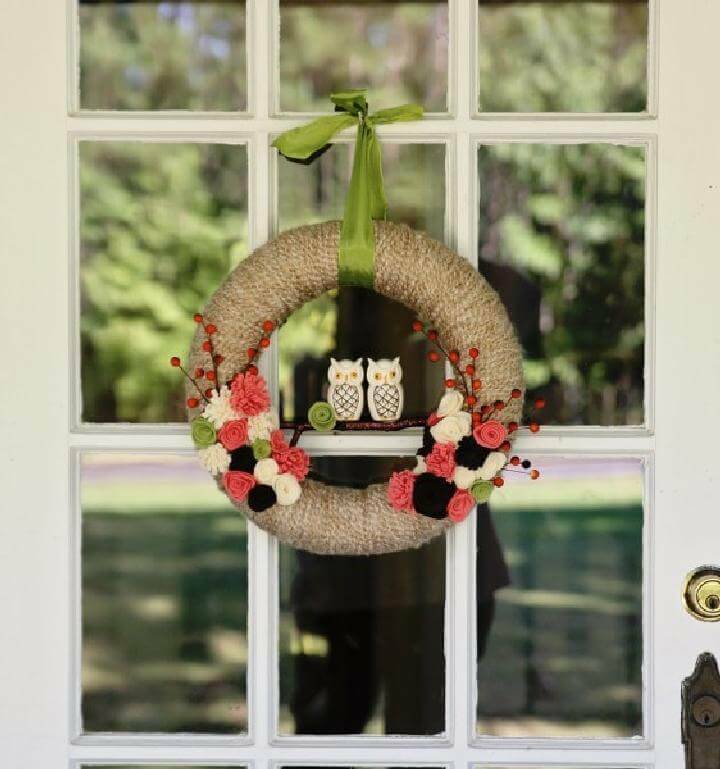 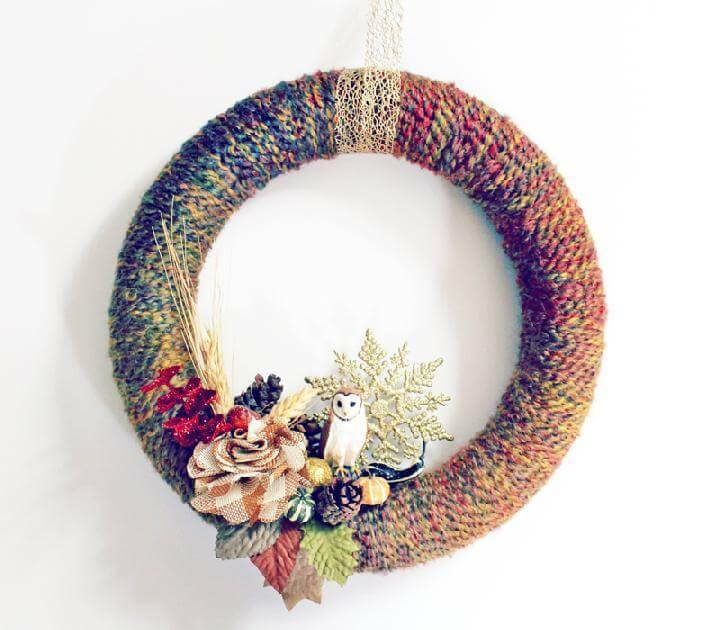 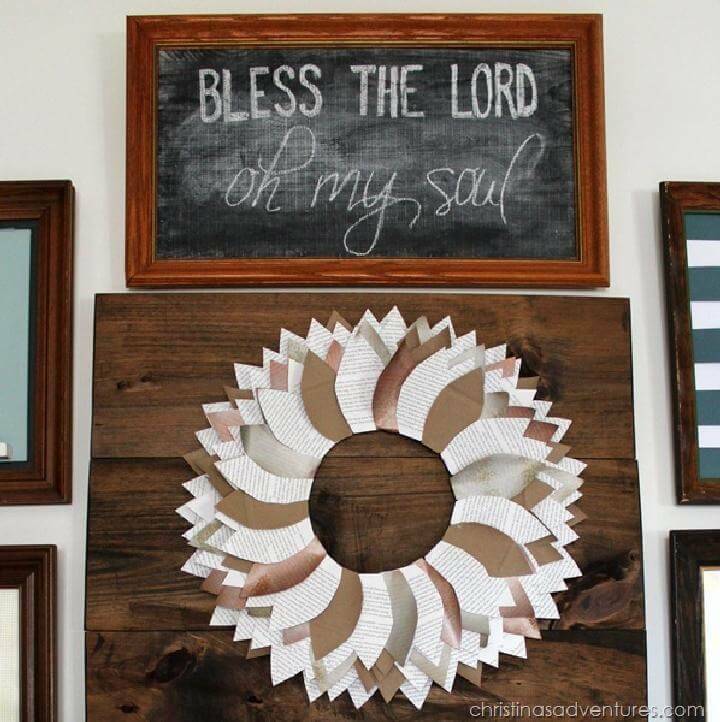 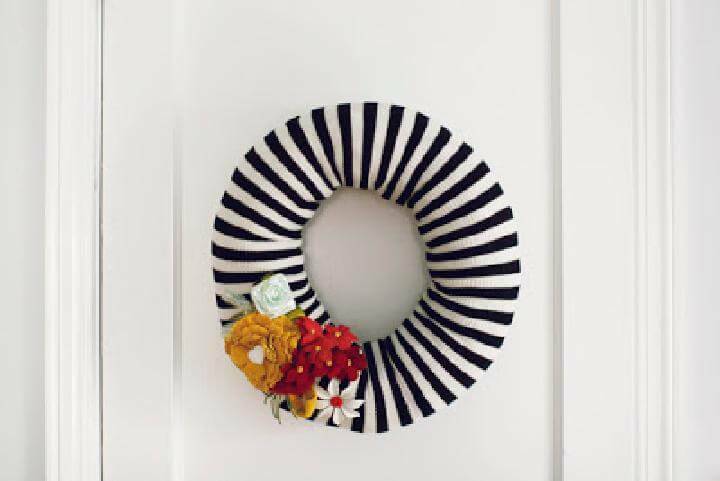 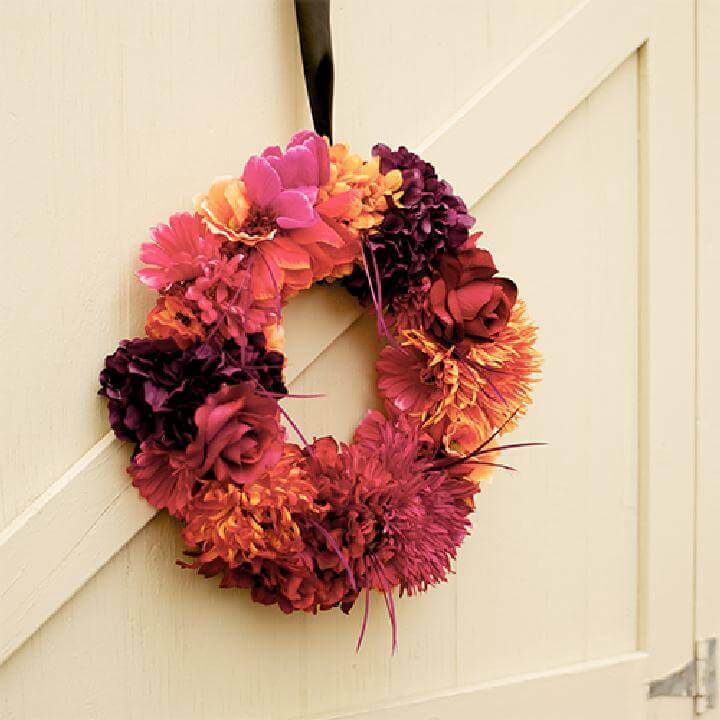 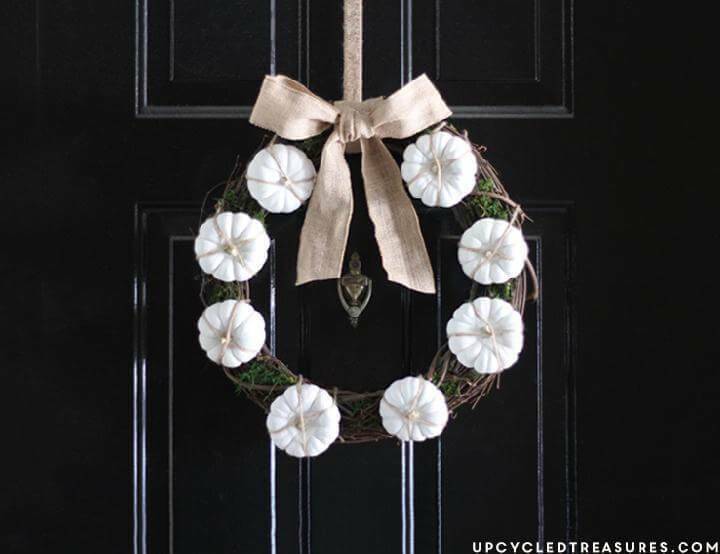 the charm and beauty of your wreaths can be spruced up more with ribbons, cute fall banners, and the monograms and let them make the most personalized and peculiar style statements for your doors, walls, and windows. 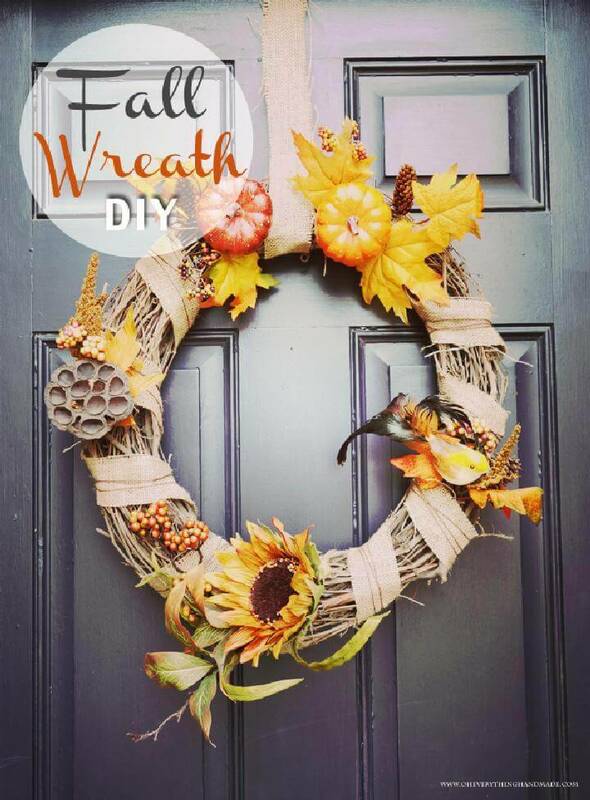 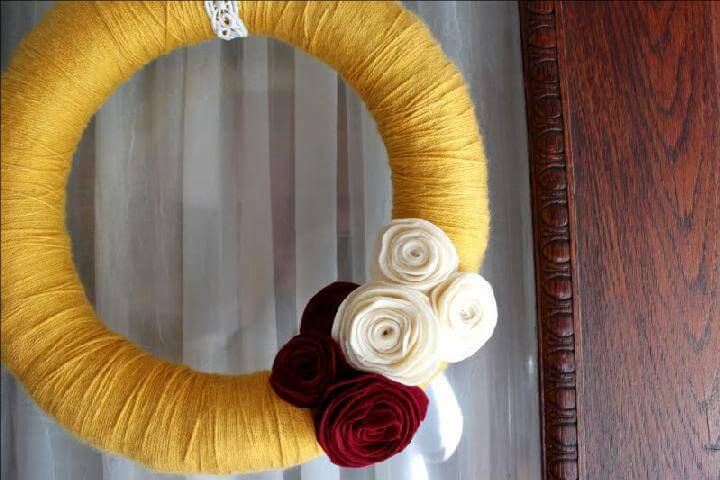 Every wreath idea contains the link of tutorials and step by step instructions so that you can easily try your hands on the wreaths you liked the most out of this huge collection. 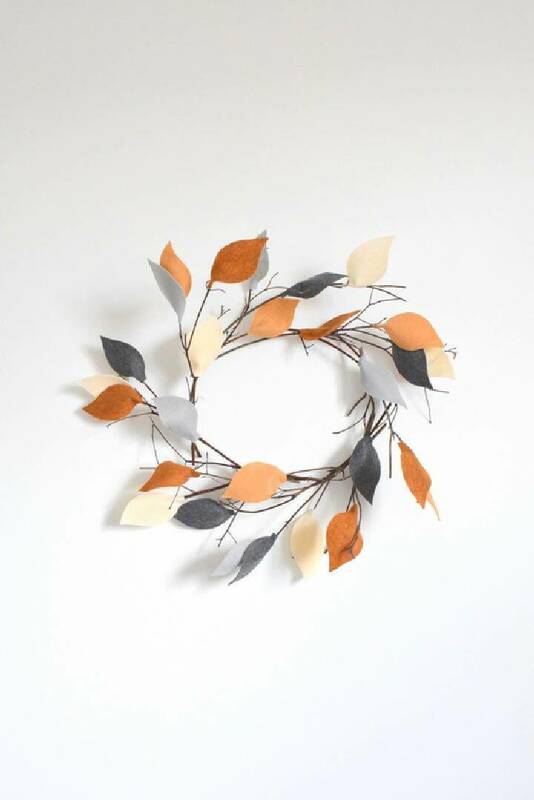 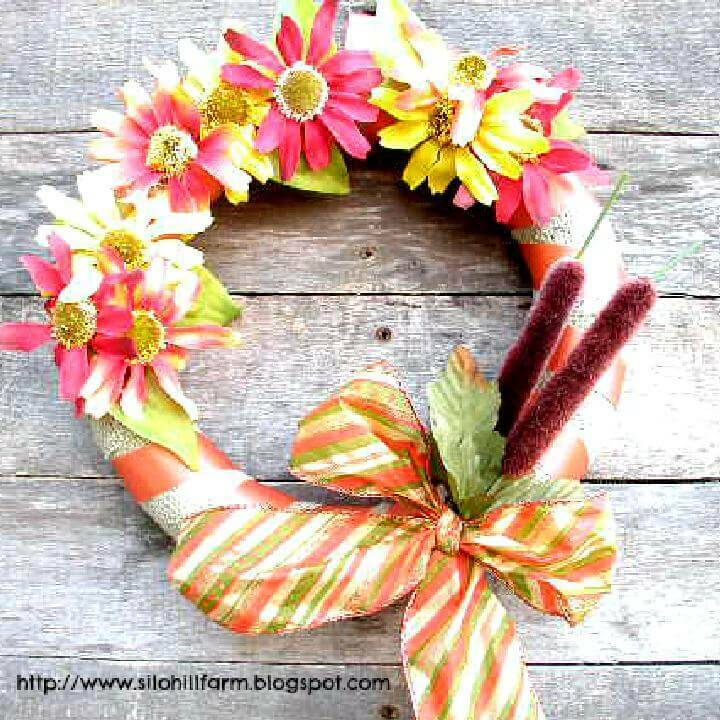 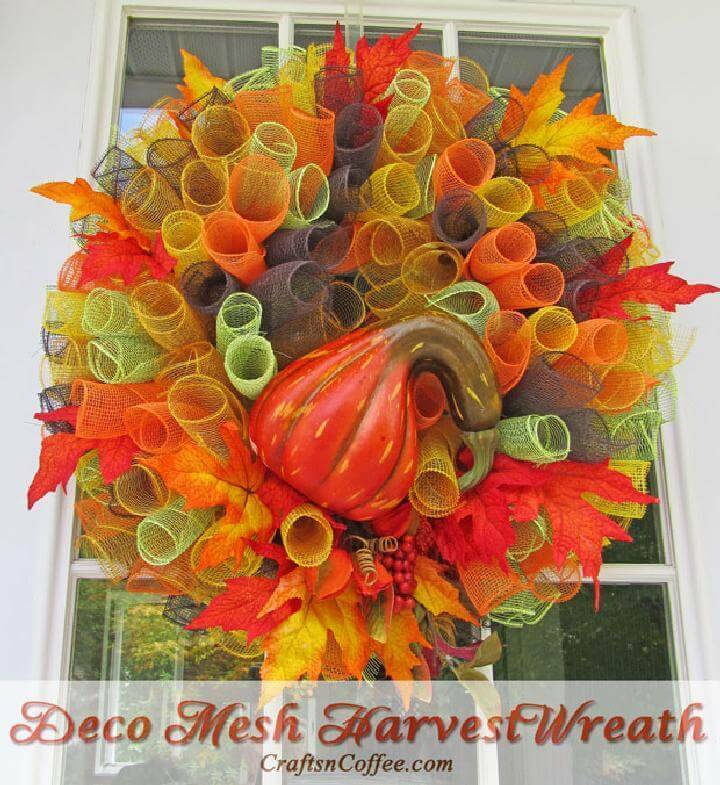 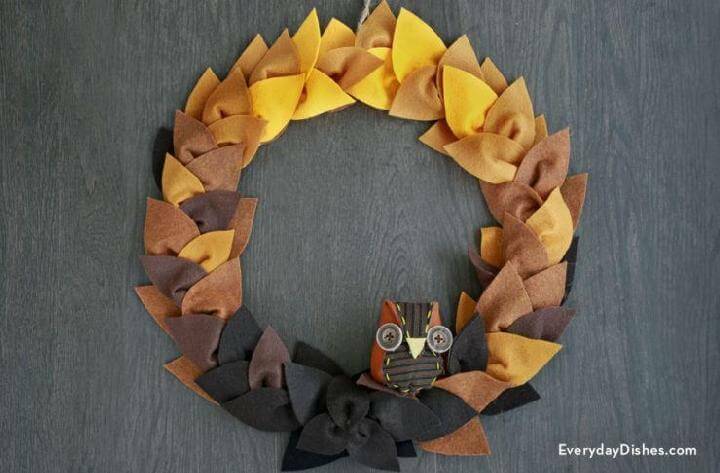 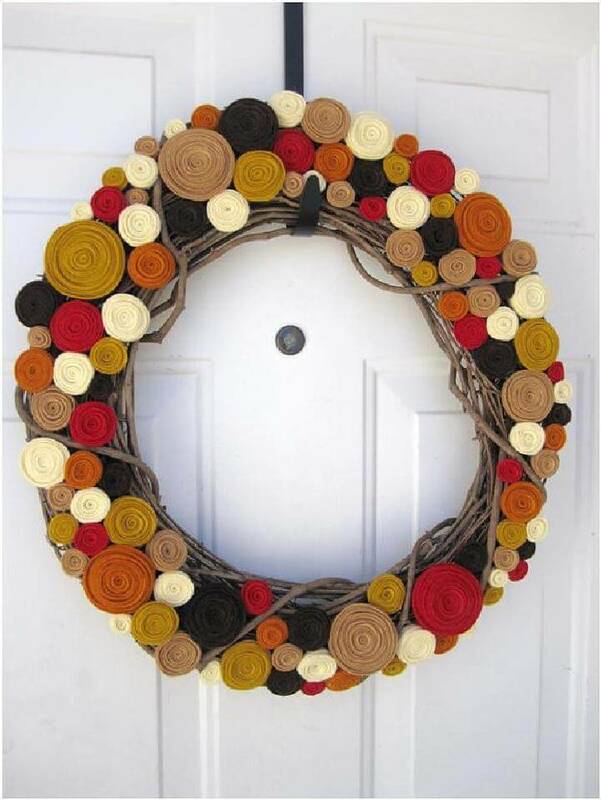 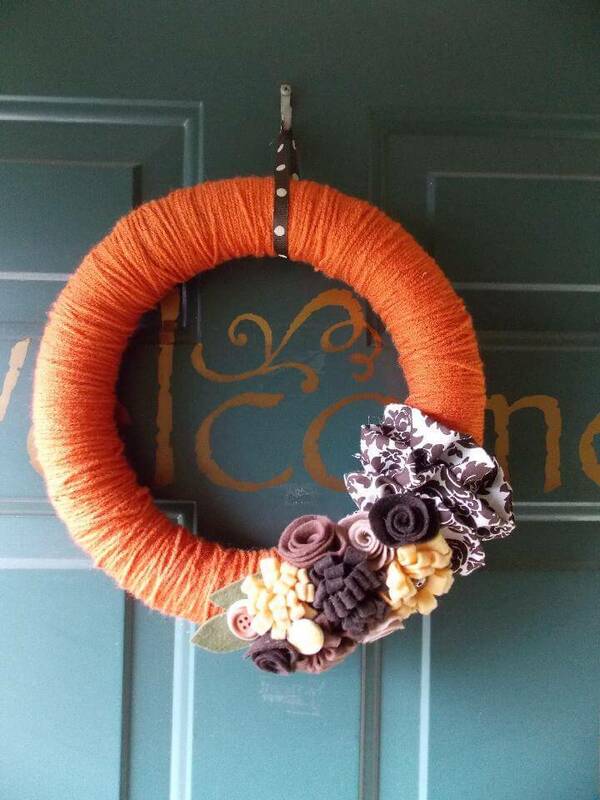 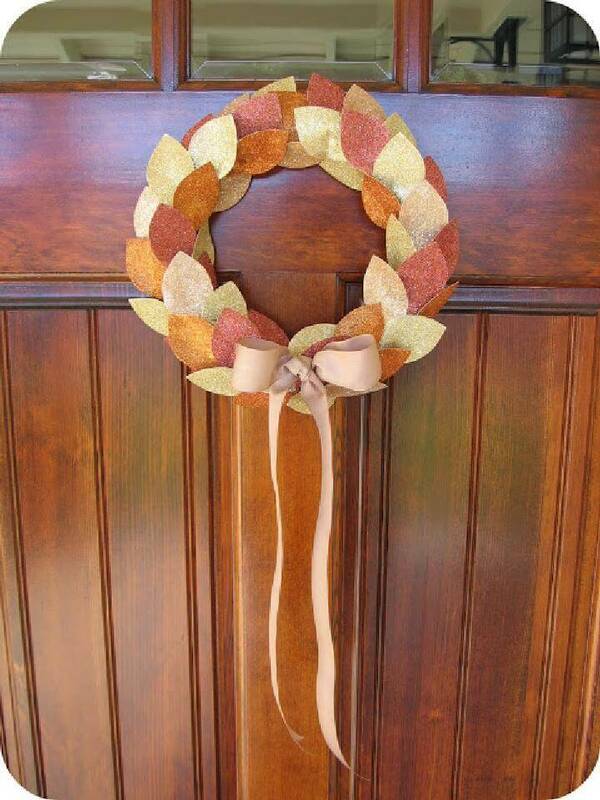 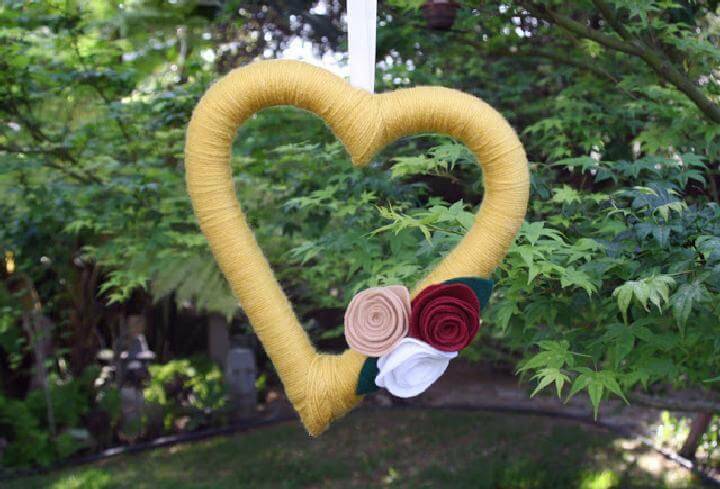 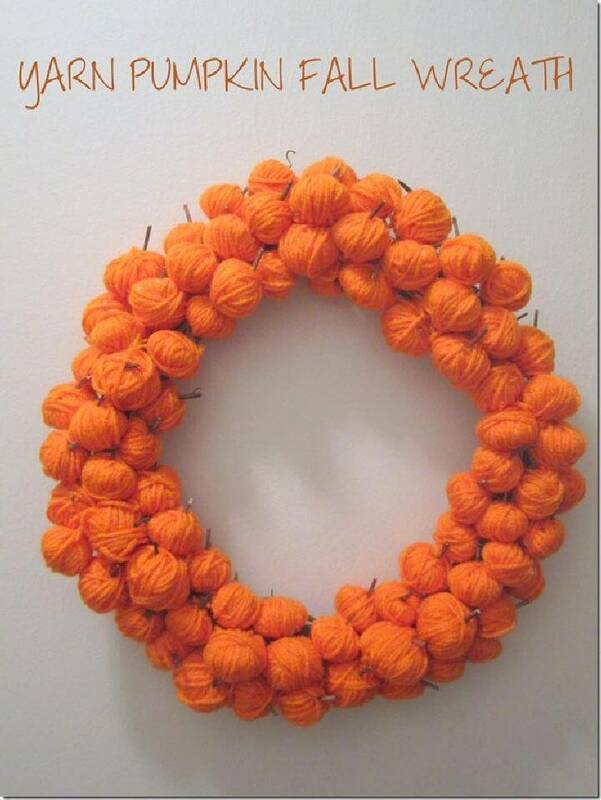 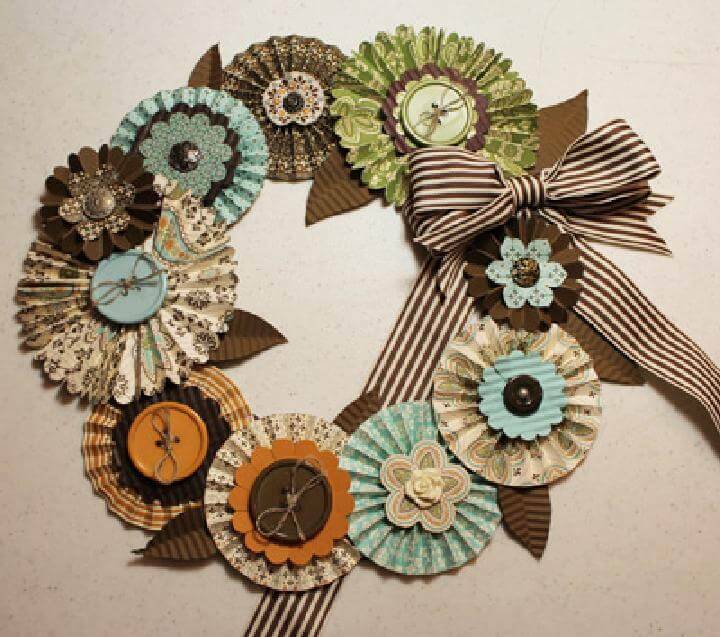 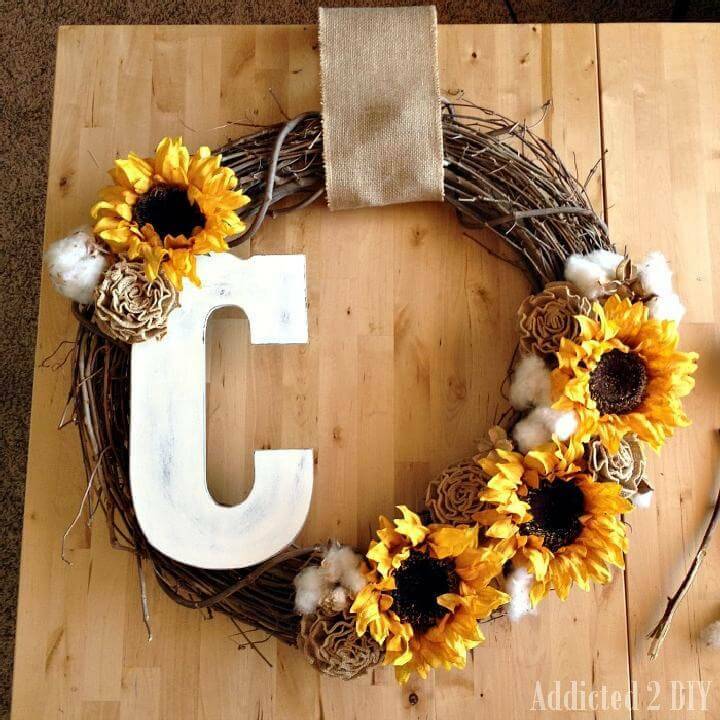 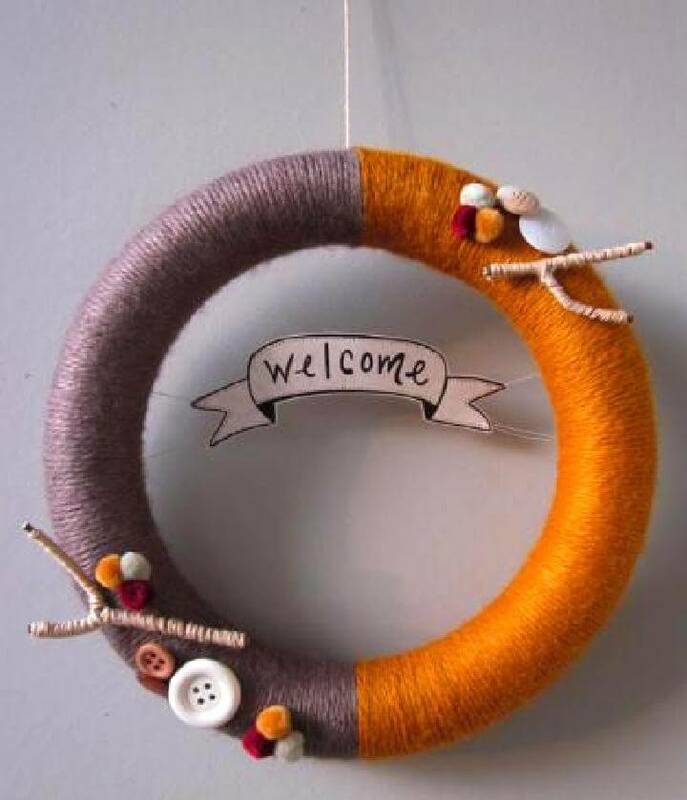 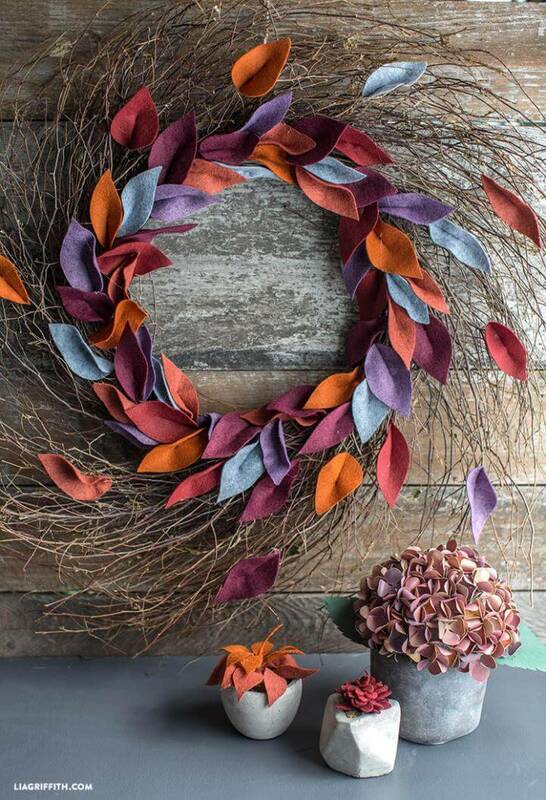 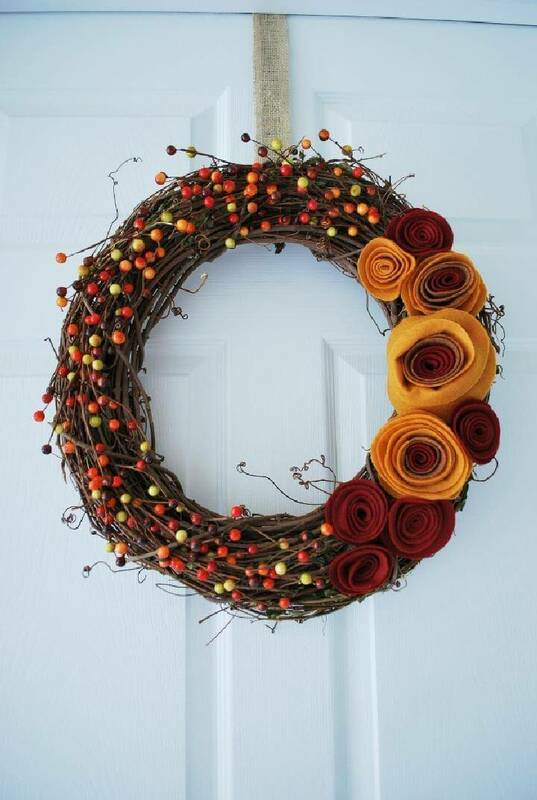 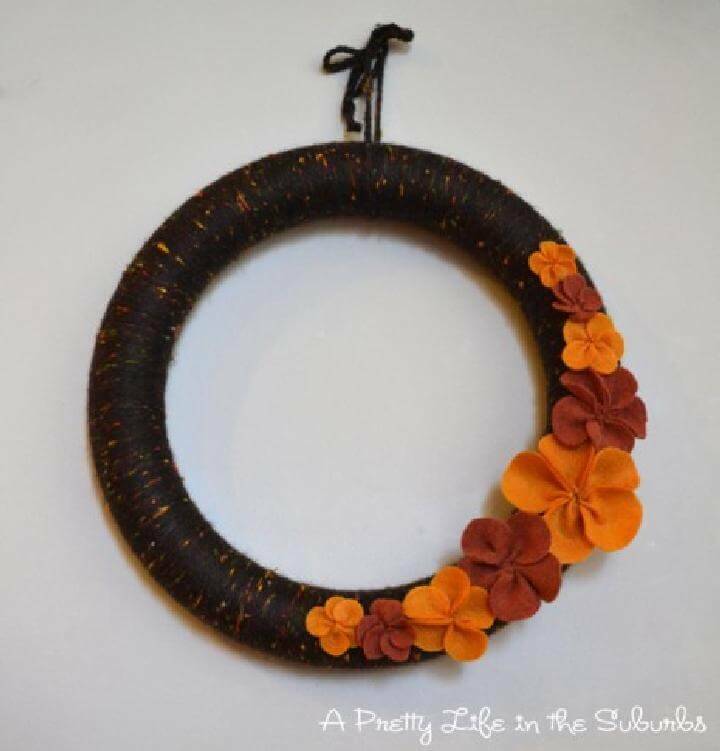 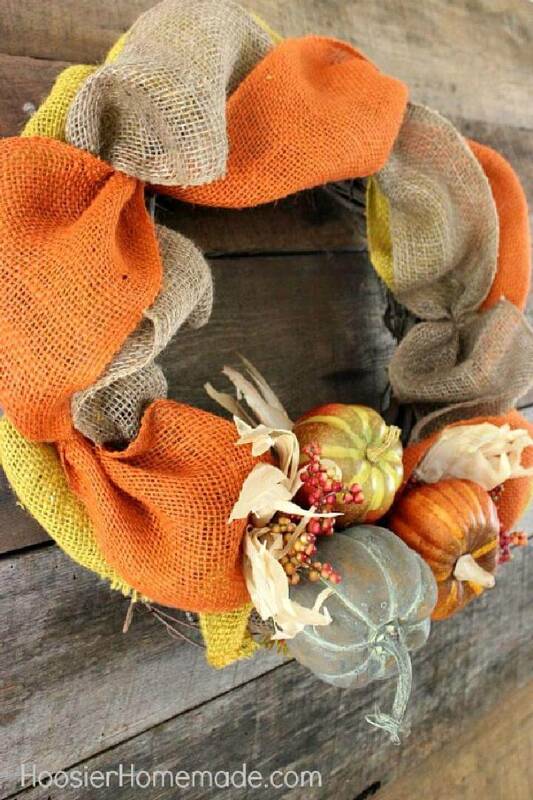 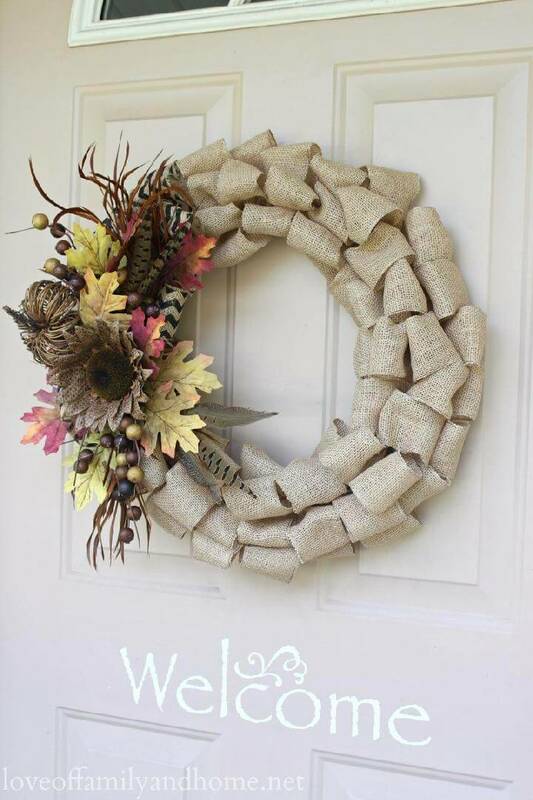 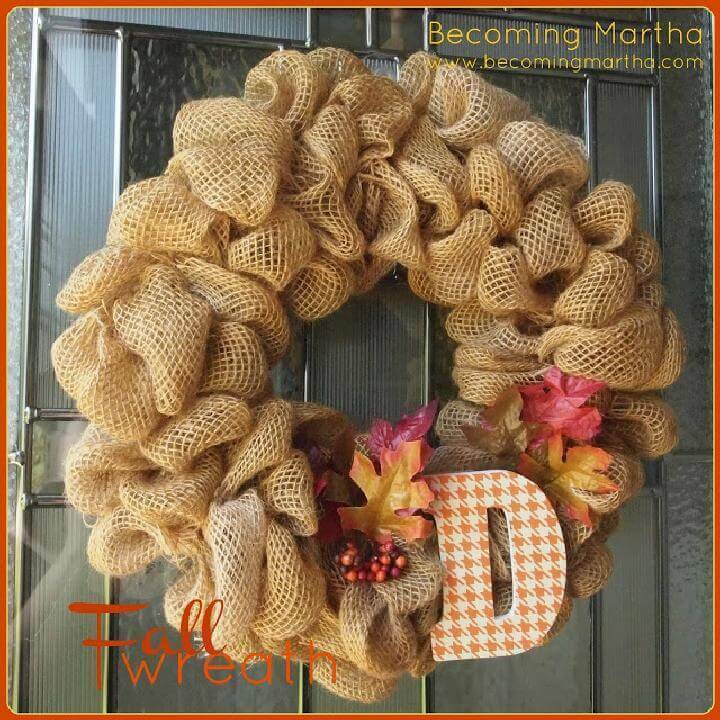 So wish you a very happy Fall and Happy wreath Crafting!